Intellectual fermentation in Hungary, particularly in fin-de-siècle Budapest, favored the growth of a uniquely gifted generation. Changes in the structure and organization of Hungarian society, along with the distinguishing features of Hungarian assimilation, helped to nurture a typically Hungarian, and more particularly Budapest, talent. These patterns of assimilation in pre-World War I Austria-Hungary, particularly in Hungary, and those in the United States share a number of remarkable similarities. The social and legal interplay of Jewish-Gentile relations such as religious conversion, mixed marriages, forced and voluntary Magyarization and ennoblement became relevant at the time of World War I, as well as during the social and political crises of 1918-1920. The social dynamics of post-World War I coalesced to condition significant intellectual and professional emigration from Hungary. It was in this post-War social upheaval, and particularly in the Hungarian “Soviet revolution” of 1919, that professional and intellectual emigration was rooted, and which can be seen first and foremost as a partial solution to the problems of Hungary’s upwardly mobile Jewish middle and upper-middle classes. Most of the people who left Hungary in 1919 and the early 1920s were directly involved in running one of the revolutions of 1918-19, particularly the Bolshevik-type Republic of Councils (Tanácsköztársaság) of 1919, and/or were, as a consequence, threatened by the ensuing anti-Semitism unleashed in the wake of that disastrous political and social experiment. It is sadly ironic that most Hungarian Jews who felt endangered after 1919 were in fact more Hungarian than Jewish, representing mostly an assimilated, Magyarized, typically non-religious middle or upper-middle class which had profoundly contributed to the socio-economic development, indeed, the modernization of Hungary. Their exodus was a tremendous loss for the country just as it became a welcome gain for the other countries they chose to settle in. For the small groups of intellectually-gifted Hungarians, often of Jewish origin, who started their migration toward other European countries and the United States after the political changes of 1918-20, the typical choice was to one of the German-speaking countries. Austria and Germany were most commonly chosen, but many went to Czechoslovakia which boasted of prestigious German universities. After what often proved to be the first step in a chain- or step-migration, most Hungarian émigrés found they had to leave those countries upon the rise of Hitler as Chancellor of Germany and continue on their way, in most cases, to the United States. This was not the only pattern, though this “double migration” emerged as the most typical one. The list of internationally recognized people who emigrated from Hungary at that time is truly astonishing: distinguished scientists such as Theodore von Kármán, Michael Polanyi, Leo Szilard, Edward Teller, Eugene Wigner; philosophers such as Georg Lukács, Karl Mannheim; filmmakers (later Sir) Alexander Korda, Michael Curtis, and Joe Pasternak; film theoretician Béla Balázs; visual artists like Marcel Breuer, László Moholy-Nagy , and designer Eva Zeisel; photographers such as Brassa?, Robert Capa, André Kertész, and Martin Munkácsi; art historians and critics such as Frederic Antal, Arnold Hauser, Erno Kállai, and Charles de Tolnay; conductors such as Antal Dorati, Eugene Ormandy, Fritz Reiner, (Sir) Georg Solti, George Szell; other musicians like Paul Abraham, Gitta Alpár, Andor Földes, Eugen Szenkár, and, later, Béla Bartók; music historian Otto Gombosi. This constitutes just a partial list of the brightest people to leave Hungary forever. Czechoslovakia, Romania and Yugoslavia and tried to find some place in a new Hungary. Outward movements from Hungary in the 1920s were part of this emerging general pattern, and cannot be defined as emigrations proper. Many people went on substantial and extended study tours of varied length – just as others did before World War I. Contrary to general belief, migrations were not limited to Jews suffering from the political and educational consequences of the White Terror in Hungary, as a reaction to the revolutions of 1918-19. Yet Jewish migrations were a definitive pattern of the 1920s when the Numerus Clausus law of XXV:1920 excluded many of them from college. A significant, though smaller group of non-Jews also left Hungary at the same time. The non-Jewish professional emigration from Hungary in the 1920s included eminent persons such as authors Lajos Kassák, Gyula Illyés and Sándor Márai; visual artists such as Aurél Bernáth, Sándor Bortnyik, Noémi Ferenczy, Károly Kernstok; singers Anne Roselle (=Anna Gyenge), Rosette (Piroska) Andai, Koloman von Pataky; actresses Vilma Bánky, Lya de Putti; organist/composer Dezsö Antalffy-Zsiros; and, most notable of all, scientist and future Nobel Laureate Albert Szent-Györgyi. Motivated by politics, poverty, or curiosity, gentiles with dramatically mixed convictions hit the road and tried their luck in Paris, Berlin, or Hollywood. In an effort to increase their chances of getting into the United States, many Hungarians left the successor states of the former Austro-Hungarian Monarchy self-identified as “Romanians”, “Czechoslovaks”, or “Yugoslavs” as U.S. Quota Laws enabled very few Hungarians to enter the United States. Nevertheless, most migrants were directed to centers in Europe, and most of all, to Germany. German centers of culture, education, and research represented the pre-eminent opportunity for young Hungarians searching for patterns and norms of modernization. Research on the history of intellectual migrations from Europe, a broad and complex international field, was based initially on eye-witness accounts which served as primary sources rather than scholarly literature . Even Laura Fermi’s classic study on Illustrious Immigrants , focusing on the intellectual migration from Europe between 1930 and 1941, falls into that category. Research proper brought its first results in the late 1960s and early 1970s. Soon after Fermi’s pioneering venture, Donald Fleming and Bernard Bailyn significantly extended the period of investigation when publishing a series of related articles in their The Intellectual Migration. Europe and America, 1930-1960 . From the beginning it was German-Jewish emigration that was best researched, a pattern that was partly reinforced by H. Stuart Hughes’ The Sea Change. The Migration of Social Thought, 1930-1965, an excellent survey of the movement of European thinkers and thinking before and after World War II . By the end of the 1970s, the first guide to the archival sources relating to German-American emigration during the Third Reich was also compiled . The 1980s produced the much-needed biographical encyclopedia which paved the way for further fact-based, quantitative research . Soon the results of this research became available in a variety of German, English, and French publications focusing on German, German-Jewish and some of the other Central European emigration in the Nazi era . The primary foci of the research of the 1980s were the émigré scientists and artists fleeing Hitler, with growing interest in U. S. immigration policies during the Nazi persecution of the Jews of Europe . In contemporary statistics and journalism, most refugees from Germany were hurriedly lumped together as “Germans” or “German-Jews” without considering the actual birthplace, the land of origin, the mother tongue or national background of the people who were forced to leave Germany. This unfortunate tradition has tended to survive in the otherwise rich and impressive historical literature on the subject. The great and unsolved problem for further research on refugees from Hitler's Germany remained how to distinguish the non-German, including the Hungarian, elements: people, problems, and cases in this complex area. This is important not only for Hungarian research but may result in a more realistic assessment of what we should, and what we should not, consider “German science” or “German scholarship” in the interwar period. Laura Fermi was probably the first to notice the significant difference between German refugee scientists and Hungarians forced to leave Germany. Her Illustrious Immigrants included a few pages on what she termed the «Hungarian mystery», referring to the unprecedented number of especially talented Hungarians in the interwar period . The systematic, predominantly biographical treatment of the subject was begun by Lee Congdon in his eminent Exile and Social Thought which surveyed some of the most brilliant careers of Hungarians in Austria and Germany between 1919 and 1933 . A contribution on the achievement of the great Hungarian-born scientists of this century, mostly biographical in nature, came from fellow-physicist George Marx . In a recent book, István Hargittai assessed the achievement of five of the most notable Hungarian-born scientists who contributed to the U.S. war effort . A full treatment of the Hungarian share in the great intellectual migrations of the interwar decades is planned by the present author . For those trying to escape Hungary after World War I and the revolutions, the German-speaking countries appeared the most obvious destination. The German influence in the Austro-Hungarian Monarchy was particularly strong in the educational system, in the musical tradition, and in the arts and sciences. Members of the Austro-Hungarian middle classes spoke German well, and countries like Austria, Germany, and newly-established Czechoslovakia were close to Hungary, not only in geographic, but also in cultural terms. Weimar Germany and parts of German-speaking Czechoslovakia were also liberal and democratic in spirit and politics. In addition, like the former Austro-Hungarian Monarchy, Germany and to some extent, Czechoslovakia, represented a multi-centered world: each of the «gracious capitals of Germany's lesser princes»  could boast of an opera, a symphony, a university, a theater, a museum, a library, an archive, with an appreciative and inspiring public which invited and welcomed international talent. Young musicians graduating from the Hochschule für Musik in Berlin could be reasonably sure that their diploma concerts would be attended by the music directors and conductors of most of the German operas across the country, poised to offer them a job in one of the many cultural centers of the Reich . Berlin and other cities of Weimar Germany shared many of the cultural values and traditions which young Hungarian scholars, scientists, musicians, visual artists, film-makers and authors were accustomed to, providing an attractive setting and an intellectual environment comparable to the one that perished with pre-War Austria-Hungary, or was left behind, particularly in Budapest . The vibrant, yet tolerant spirit of pre-Nazi Germany, and particularly the atmosphere of an increasingly “Americanized” Berlin, gave them a foretaste of the United States and some of her big cities. Both as a language and as a culture, German was a natural for Hungarians in the immediate post-World War I era. The lingua franca of the Habsburg Empire and of the Austro-Hungarian Monarchy, German was used at home, taught at school, spoken on the street and needed in the army . This was more than a century-old tradition: the links between Hungary and the Austrian and German cultures went back to the 17th and the 18th centuries. The average “Hungarian” middle class person was typically German (“Schwab”) or Jewish by origin, and it was German culture and civilization that connected Hungary and the Austro-Hungarian Monarchy with Europe and the rest of the World. Middle class sitting rooms in Austria, Hungary, Bohemia, Galicia and Croatia typically boasted of the complete work of Goethe and Schiller, the poetry of Heine and Lenau, the plays of Grillparzer and Schnitzler . Not only were German literature and German translations read throughout these areas: German permeated the language of the entire culture. When Baron József Eötvös, a reputable man of letters and Minister of Education, visited his daughter in a castle in Eastern Hungary, he noted: «What contrasts! I cross Szeged and Makó, then visit my daughter to find Kaulbach on the wall, Goethe on the bookshelf and Beethoven on the piano» . Scores of Das wohltemperierte Klavier by Johann Sebastian Bach, Gigues and Sarabandes by Georg Friedrich Händel, the sonatas of Joseph Haydn, Wolfgang Amadeus Mozart, and Ludwig van Beethoven, the Variations sérieuses by Felix Mendelssohn, the popular songs of Franz Schubert or Robert Schumann, piano quintets of Johannes Brahms, and the brilliant transcriptions of Franz Liszt; these were the works which adorned the salon, or, in higher places, the music room. Throughout the entire Austro-Hungarian Monarchy and beyond, Hungarians looked to import from Germany modern theories and modern practices. Two examples from the beginning and the end of the period are characteristic. Immediately after the Austro-Hungarian Compromise, young education philosopher Mór Kármán, the father of Theodore von Kármán, was commissioned in 1869 by Baron József Eötvös, then Minister of Religion and Public Education, to study the theory and practice of teacher training in Leipzig, then Saxony in Germany, and introduce the German system into Hungary. After almost two years under Professor Liller in Leipzig, Kármán returned to Hungary and founded, in 1872, both the Institute for Teacher Training at the University of [Buda]pest as well as the closely related Practicing High School or Modelgymnasium for prospective teachers, thus profoundly influencing Hungarian education in a German spirit and tradition . Likewise, in December 1918, Cecilia Polányi, the mother of Michael and Karl Polanyi and future grandmother of Nobel Laureate John C. Polanyi, intended to study the curricula and methods of German institutions in the field of “practical social work” and planned to go to Berlin, Frankfurt am Main, Mannheim, Hannover, Düsseldorf, Cologne, Augsburg, Munich, Heidelberg, Königsberg and a host of other places where the various Soziale Frauenschulen, Frauenakademie, Frauenseminare were the very best in Europe . Efforts to study and imitate what was German were natural. German was then the international language of science and literature: in the first eighteen years of the Nobel prize, between 1901 and 1918, there were seven German Nobel Laureates in Chemistry, six in Physics, four in Medicine (one Austro-Hungarian), and four in Literature . Scholars and scientists read the Beiträge, the Mitteilungen, or the Jahrbücher of their special field of research or practice, published at some respectable German university town such as Giessen, Jena, or Greifswald. The grand tour of a young intellectual, artist, or professional, would unmistakably lead the budding scholar to Göttingen, Heidelberg, and, increasingly, Berlin. Artists typically went to Munich to study with Piloty . The illustrious faculty of the newly-founded Music Academy of Budapest, in most cases invited to Hungary by Franz Liszt himself, typically taught young Hungarians such as Béla Bartók or Zoltán Kodály through German . When German composer Johannes Brahms performed his works in Pest (later Budapest), he recognized that the best music critics wrote in the German papers, that the head of the leading chamber group was German-Hungarian Jeno Hubay (formerly Huber), the cellist of the quartet was the Prague-born David Popper, that the second violinist was the Viennese Victor Ritter von Herzfeld, and that the viola player was an Austrian of peasant origin, József Waldbauer. It was not only in the opera and philharmonic orchestra that the German language reigned supreme: German was the language in which Professor Hans Koessler taught composition and Xavér Ferenc Szabó taught orchestration at the country's top music institution. When Brahms visited the music shop Rózsavölgyi & Co’s in downtown Budapest, he was received by the German-speaking Herr Siebreich who gave him the recently published Hungarian folk pieces that formed the basis of Brahms’ four-handed Ungarische Tänze (Hungarian Dances). There was no reason for the strongly Gesamtdeutsch (All-German) -oriented Brahms to doubt the ‘deep German embeddedness’ of Hungarian culture. This is why his Hungarian pieces were composed as though they represented a particular, Eastern branch of German music: they jump about, as it were, in a pair of German trousers, the mádjárosch Hopsassa, to which Musicology Professor Antal Molnár referred in remembering the Budapest of his early years . Ironically, it was the Moravian-Jewish Gustav Mahler who, as Director of the Royal Hungarian Opera between 1888 and 1891, first demanded that singers use the Hungarian language instead of the generally-accepted German , though Mahler himself, as well as several other celebrated conductors in Budapest such as Hans Richter and Arthur Nikisch, only spoke German. The Hungarian middle classes often read local papers published in German that were available throughout the Monarchy until its dissolution and even beyond. Founded in 1854, the authoritative Pester Lloyd of Budapest, for example, continued as one of the most appreciated and well-read papers of the Budapest middle class until almost the end of World War II (1944). German in language but committed to Hungarian culture , this part of the press helped bridge the gap between the two cultures. In much of the 18th and 19th centuries, German novels and poetry, written and published in Hungary, were as integral to Greater-German [Gesamtdeutsch] literature as anything written in Königsberg or Prague . The Jewish population of the Empire/Monarchy, and particularly its educated urban middle class, embraced German first and foremost as a new common language and contributed to making the Austrian realm a part, and not just an outskirt, of German civilization . For socially aspiring Jewish families, German was the language of education and upward mobility. With all this infusion of German blood into Hungarian musical life and education, Budapest in the early 1900s still did not seem comparable to Berlin. Young and gifted Erno (Ernst von) Dohnányi considered the Hochschule für Musik in Berlin a much greater challenge. «To choose Budapest instead of Berlin would have been such a sacrifice on my part which, considering my youth, the fatherland cannot demand and, considering my art, I cannot make», he wrote to the Director of the Budapest Music Academy around 1905. «Berlin is unquestionably the center of the musical world today. Budapest, we must admit, does not play even a small role in the world of music. Even if it is true that the Hochschule of Berlin is simply the center of a clique, that clique is enormous and has played a role for decades whereas the musical world doesn't even notice whether or not I take a dominating position in Budapest» . Dohnányi stayed in Berlin until World War I and, as Ernst von Dohnányi, became one of the internationally most attractive professors of the Hochschule für Musik. Promising pianists from Hungary such as Ervin Nyiregyházi, Imre Stefániai, and Marianne Adler of Budapest, and even international students such as Swedish composer Franz Berwald's granddaughter Astrid of Stockholm, came to study with him in pre-War Berlin . A center for Hungarian culture in Berlin, Collegium Hungaricum was founded in 1916. Robert Gragger went to teach Hungarian studies at the University of Berlin and became director of the Collegium. He also published the Ungarische Jahrbücher, a quality journal presenting Hungarian scholarship. Gragger's Collegium attracted particularly young Hungarians at the beginning of their careers. Berlin in the early pre-War era proved to be an irresistible magnet for the new Hungarian intellectual and professional classes. Many of the young Hungarians who frequented Berlin around the turn of the century were Jewish. The Jewish-Hungarian middle class felt at home in imperial Germany and sent their sons and daughters there to study. After completing their courses in Budapest before World War I, Hungary's up-and-coming mathematicians saw Göttingen and Berlin as the most important places to study. As a very young man, the celebrated Lipót Fejér spent the academic year 1899-1900 in Berlin where he attended the famous seminar of Hermann Amandus Schwarz. In 1902-1903, he studied in Göttingen and in subsequent years returned to both universities . A gifted student of Fejér, Gábor Szego also followed his path and went to study in pre-War Berlin, Göttingen and Vienna, and later became professor of mathematics at Stanford . Men of letters also followed in numbers. The poet and future film theoretician Béla Balázs went to study with Georg Simmel in 1906, and dedicated his doctoral dissertation Az öntudatról (“On Self Consciousness”, later renamed Halálesztétika, “The Aesthetics of Death”) to his German master . The heroin of Balázs’s first literary opus, Doktor Szélpál Margit, spent three years in Berlin as a student, a typical pattern in pre-War German-Hungarian relations . Critic, author, and art-patron Baron Lajos Hatvany studied classics with the prestigious Ulrich von Wilamowitz-Moellendorff in Berlin--an experience which he came to denounce in his sarcastic Die Wissenschaft des nicht Wissenswerten, first published in Leipzig, Germany . 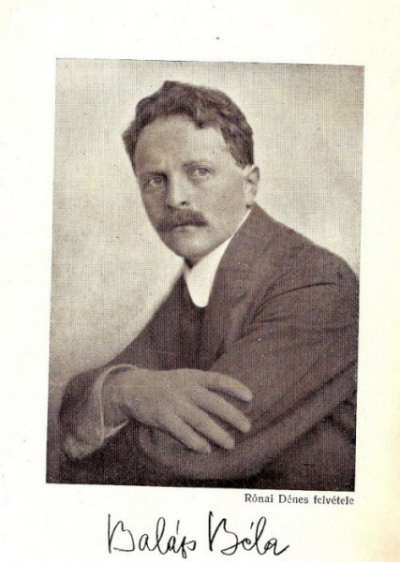 His second book, Ich und die Bücher, was published simultaneously in both German and Hungarian in 1910 . Others who went included important businessmen such as stock exchange wizard Alfred Manovill who, well before the War, joined the Berlin bank Mendelssohn & Co. at the age of 24 and acted as the honorary president of the Berliner Ungarn-Vereins through the advent of Hitler . a poor, keen-witted, provincial town, simple, dirty, uncivilized, and in most respects disgusting. Life was primitive beyond what an American boy could have imagined. Overridden by military methods and bureaucratic pettiness, Prussia was only beginning to free her hands from internal bonds. Apart from discipline, activity scarcely existed . The long lines of brilliant electric light globes, the rows of the brilliant shop windows, the omnibuses, the carriages, the streams of pedestrians – all this made me exult. ‘Hurrah!’ I cried to myself, ‘This is what you are preparing for. You will be one of similar streams of humanity in the cities of the Great Republic... You shall be in the tide. Work and wait and watch’ . For Ross, Berlin was the big city, a glittering summary of all possibilities that could lie ahead. For German cultural critics such as Julius Langbehn, Paul de Lagarde, and Moeller van den Bruck, Berlin a mere couple of decades later had taken on an American flavor which seemed to be evil itself. «Spiritually and politically, the provinces should be maneuvered and marshaled against the capital», exclaimed Julius Langbehn in his hatred against Berlin . It was he who thought that the ancient spirit of the Prussian garrison town was corrupted by the poison of commerce and materialism which he identified with the Amerikanisierung (Americanization) of Germany. Langbehn bitterly resented «the crude cult of money which» he insisted, «was also a North American trait, which takes over more and more in today's Berlin; a German and honorable spirit should definitely stand up against it. Coins of money are mostly dirty. For the Germans of today, they should be the tool and not the purpose» . Langbehn’s was a typical voice crying out against the big new cities across the continent of Europe as well as in the United States. His tract appeared approximately at the time when Josiah Strong described the American city as one of the great perils of his day . Eventually, however, Langbehn identified «the crude cult of money» not only with North America but, as he inserted it in subsequent editions of his phenomenally popular book, it was «also a Jewish trait» . Da jehörst de hin . Largely as a result of the influx of its new residents, Berlin underwent remarkable changes in the late 19th century, generating concern among Conservatives about the “Americanization” of their country, the coming of a mass society with its materialism, mechanization and idolized riches. The first to use the term in a speech in 1877 was Emil Du Bois-Reymond who warned of «Amerikanisierung in terms of the growing overweight of technology» . Du Bois-Reymond made frequent references to the threat of Amerikanisierung for Europe, her intellectual life as well as for her economy. “Americanism” assumed an even more complex meaning in the 1890s. James Cardinal Gibbons of Baltimore initiated a movement within the American Catholic Church, trying to adapt it to the complexities of a new industrial society like that of the United States. This movement was seen as a modernist opposition within the Church, and cultural critics like Langbehn must have also been aware of this double secular and religious meaning of “Americanism”. The dispute over this modernizing program became such an issue in both Germany and France that in 1899 Pope Leo XIII dispatched an encyclical, Testem benevolentiae, to Cardinal Gibbons, condemning Americanism, especially the view that «the Church ought to adapt herself somewhat to our advanced civilization and, relaxing her ancient rigor, show some indulgence to modern popular theories and methods» . The term Amerikanismus became widely used and adversely interpreted by the post-War years. «Deutsche Rundschau», one of Germany's most respectable periodicals, discussed its history and meaning in two subsequent articles in 1930 . A parallel is sometimes drawn in this respect between America and Germany. Both appear to me animated with similar ambitions, and to measure success almost exclusively by wealth. ... The Germans will adapt themselves to American industrial methods much more easily than the English. In business there is a temperamental affinity between them . The American industrialist Henry Ford was very popular in Germany and his 1922 My Life and Work was published almost instantly in a German translation which sold 200,000 copies. F.W. Taylor’s book on Scientific Management was equally popular, both as a slogan and as a practical way to deal with the economy. Also, there were American-type high rises, jazz bands, Black American musicians, and the entire American entertainment industry to dazzle the German mind and mold the German way of life according to American patterns. Josephine Baker, Fred Astaire, Greta Garbo, Jeanette MacDonald and Nelson Eddy were just as popular with the German audience as they were at home . Berlin's open-mindedness to contemporary music was also, to some extent, an American-like feature: in the mid-1920s, the various opera companies of the city presented Alban Berg's Wozzeck, Igor Stravinsky's Oedipus Rex, Paul Hindemith's Cardillac, Kurt Weill's The Threepenny Opera, Arnold Schoenberg's Die Glückliche Hand, and several of the new operas by Richard Strauss under the baton of some of the most celebrated conductors of operatic history such as Wilhelm Furtwängler, Erich Kleiber, Otto Klemperer, Bruno Walter, and by composers such as Richard Strauss and Stravinsky. It was in the Gesellschaft der Musikfreunde zu Berlin that Swiss-American composer Ernest Bloch's Amerika was first performed in the 1930-31 season, almost exactly at the time when Dr. Charlotte Weidler lectured on Amerikanische Kunst in the Lessing-Hochschule in a Berlin series on modern art . Berlin's attraction to anything new and, often, American, which foreshadowed the spirit of innovation and experimentalism, became one of the fundamental experiences when a few years later this generation of Europeans escaped the rise of Nazism by leaving Hitler's Germany for the United States. German author and Nobel Laureate Thomas Mann pointedly commented on the Americanization of Europe in 1929, suggesting that it went hand in hand with «the cultural and artistic Europeanization of America» . It had a certain logic that after 1918-1919, intellectual refugees from Hungary, many of them future Americans, migrated first to Berlin, a city which later reminded many of them of the United States. Comintern agents, Dadaist poets, expressionist painters, anarchist philosophers, Sexualwissenschaftler, vegetarian and Esperantist prophets of a new humanity, Schnorrer ("freeloaders" – artists of coffeehouse indolence), courtesans, homosexuals, drug addicts, naked dancers and apostles of nudist self-liberation, black marketeers, embezzlers, and professional criminals flourished in a city which was hungry for the new, the sensational, and the extreme. Moreover, Berlin became the cultural center of Central and Eastern Europe as well. Those who now dictated public taste and morals, who enlightened, entertained, or corrupted their customers were not only Germans but [also] Russian refugees from the Red and Hungarian refugees from the White terror, voluntary exiles from what was now a whithering and poverty-stricken Vienna, Balkan revolutionaries, and Jewish victims of Ukrainian pogroms . «The Hungarian Marxist philosopher György Lukács, the Austrian theater director Max Reinhardt, the Prague journalist Egon Erwin Kisch, the phenomenal operetta singer from Budapest Gitta Alpár, and the Polish embezzlers Leo and Willy Sklarek were some of these famous 'Berliners'», Deák concluded . one spoke of Berlin as one speaks of a highly desirable woman whose coldness, coquettishness are widely known. She was called arrogant, snobbish, parvenu, uncultivated, common, but she was the center of everyone's fantasies . Cosmopolitan Berlin supported nearly 120 newspapers, while 40 theaters, some 200 chamber groups and more than 600 choruses gave performances in 20 concert halls and innumerable churches. «Ten or fifteen years earlier, Paris had been the undisputed queen of Europe... But Berlin with its sensitive restlessness and unerring instinct for quality, had emerged after the First World War as Paris' rival...» . Such was the attractiveness of life in Berlin, that housing was in great demand and hard to obtain. Michael Polanyi and mathematician Gábor Szego each had to wait for several years to get a decent apartment . All this modernism, cultural import, and obsession with innovation produced numerous difficulties. «Material problems, lodging miseries, an introduction to life's sad chapter called 'wie man Professor wird,' etc. would easily explain, even in your young age, your passing depression», said Professor Lipót Fejér trying to cheer up his student Gábor Szego, who was on his way to becoming a professor of mathematics in Berlin . Michael Polanyi in 1920 complained about the joylessness (Unerfreulichkeit) of the city, which his Karlsruhe friend Alfred Reis described to him as a «serious jungle» . Berlin also changed in terms of social behavior, sexual ethics and the moral code. Austro-German author Stefan Zweig, one of the most significant and popular figures of modern German literature, was shocked to remember the Berlin of the 1920s which for him became a crazy, highly eroticized whirlwind, «the Babylon of the world». In the collapse of all values a kind of madness gained hold particularly in the bourgeois circles which until then had been unshakeable in their probity. ... Bars, amusement parks, honky-tonks sprang up like mushrooms. ... Along the entire Kurfürstendamm powdered and rouged young men sauntered...; in the dimly lit bars one might see government officials and men of the world of finance tenderly courting drunken sailors without any shame. ... hundreds of men costumed as women and hundreds of women as men danced under the benevolent eyes of the police. Young girls bragged proudly of their perversion, to be sixteen and still under suspicion of virginity would have been considered a disgrace in any school of Berlin at that time ... At bottom the orgiastic period which broke out in Germany simultaneously with the inflation was nothing more than a feverish imitation; ... the whole nation, tired of war, actually only longed for order, quiet, and a little security and bourgeois life. And, secretly it hated the republic, not because it suppressed this wild freedom, but on the contrary, because it held the reins too loosely. ... Whoever lived through these apocalyptic months, these years, disgusted and embittered, sensed the coming of a counterblow, a horrible reaction . Most Hungarians who made their way toward Germany did not easily find ideal places for their studies or for their ambitions. It was somewhat easier to succeed before the War, though Theodore von Kármán was an exception. When he completed his Habilitation in Germany in 1908 he «was emphatically warned that no one could guarantee that he would ever get a [university] chair. But I received a call after a waiting time which would have been considered short even for Germans». More typically, introductions for students were expected by prospective Berlin professors; mathematics student Gábor Szego in 1914 needed a letter for E. Landau from his Budapest colleague Lipót Fejér . The situation became considerably more difficult during the War. When in 1916 Michael Polanyi inquired about his prospects for a Habilitation under Professor G. Bredig at the Institute for Physical Chemistry and Electrical Chemistry of the University of Karlsruhe, he was politely turned down. We are compelled, now after the War [had started] more than ever before, to take into account the public opinion which urges us to fill in the available places for Dozenten by citizens of the Reich as much as possible. Even though we like to treat the citizens of our Allies the same way as our own, you must have seen in my Institute that the situation was pushed so strongly in favor of them, that as of now, and more than ever before, I must see to attracting more Imperial Germans . A year later, Polanyi tried Munich and turned to Professor K. Fajans in what was then the Chemical Laboratory of the Bavarian State. Though his request was well received and an offer was made to become an assistant to Dr. Fajans, Polanyi's German plans did not materialize until after the War . conditions in the universities were very bad, of course, in all places. The same story was heard everywhere, no money, no new professors or docents but laboratories filled with students who had almost nothing to live on. Yet the research goes on and the students still keep at their books . In little over a year, however, Jette received better news from Werner Heisenberg who «said that while the university people were not as well off as before the war, they were infinitely better situated than a year ago» . Nevertheless, Hungarians were difficult to turn down. Networking, using available contacts and relying on people already established in Germany, were among the most natural methods used to secure a place somewhere in Germany. Michael Polanyi turned to Von Kármán for help; in turn, the future engineering professor, Mihály Freund asked for Polanyi's assistance for a young relative, Tibor Bányai, who had just completed high school in Budapest and wanted to become an engineer at the University of Karlsruhe, where Polanyi had been active for some time. More importantly, in 1922 Polanyi paved the way for Leo Szilard who tried to get an assistant's job at the Institute of Physical Chemistry at the University of Frankfurt am Main. Szilard was well on his way to becoming a scientist in his own right and the degree he just received in Berlin under Max von Laue was the best letter of recommendation he could possibly present. Yet, under the circumstances, he needed Polanyi's letter to Frankfurt professor B. Lorenz which called him a «wonderfully smart man» . 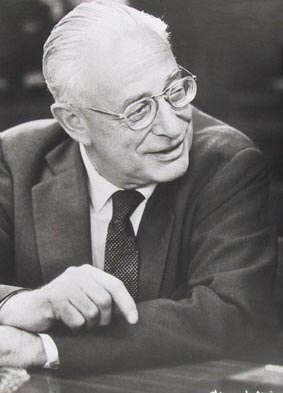 Of all the Hungarian scientists, however, Von Kármán proved the most active and successful contact person whose German and subsequent U.S. correspondence provides a wealth of information on half a century of Hungarian networking. A typical letter from his German period was sent in 1924 by a Hungarian friend in Vienna, asking for his assistance with Hungarian chemical engineering student Pál Acél to continue his studies «in Germany, preferably under you» . Correspondence on these matters sometimes had to be clandestine: in dangerous years such as 1920, such mail was better sent to Vienna, rather than Budapest, and picked up there personally . Students continued to try to go to Germany for several reasons, one of them being the high level of commitment of the German professors to their gifted students and the great deal of time and interest they allotted to young people in general. Results of even a short stay in Berlin promised to be significant, as in the case of young John Von Neumann. professors in Germany grab with avid interest the hand of any student considered to be gifted. They are like the art-collector whose utmost passion is to discover talent. This is part of the profession of a university professor . It is important to note that his generation shared a similar experience later in U.S. universities: for émigré scholars and scientists, the welcoming atmosphere of German universities became happily rediscovered in, and partly transferred to, the United States. One of the outstanding characteristics of the post-World War I German environment was its tolerance – political, religious, professional and artistic. People, professions, ideas and artistic products harassed at home in Hungary were welcome in the open atmosphere of Weimar Germany. Béla Bartók's pioneering ballet Miraculous Mandarin, unaccepted and persecuted in Budapest, found a sympathetic audience in Cologne where Hungarian-born Eugen Szenkár performed it for the first time in 1926. Moving to Germany was not only a question of survival in terms of studies, jobs, and promotions: it also meant an opportunity to resume one's original professional activities or intellectual directions. It was not merely the acquisition of a new address; it led to the reconstruction of spiritual (and often bodily) health, the realization of the self, a restoration of the mind. A case in point is psychoanalyst Michael Balint who decided to leave Budapest for what was then a typical combination of political and professional reasons. «It was very difficult — it was 1920 then — and it was the worst period of the Horthy Regime, very anti-Semitic and anti-liberal and so on», he declared in a Columbia University Oral History interview toward the end of his life . «So it was with my interests in [psycho]analysis... It was almost impossible to get any [position] at the university, so I started to work as a biochemist and bacteriologist. ... But I didn't think that anything could be done in Budapest. So I decided to leave Budapest and try something in Germany» , Balint further explained why he went to Berlin as a chemist. He used the introduction of his friend and former colleague Michael Polanyi to get a job at the AGFA laboratories there . «So we departed to Berlin, where I got a small job as a research chemist, with permission that I work for a Ph.D. degree» . Physicist Imre Brody also complained of the political situation when trying to get to Germany. You know very well - he wrote to Michael Polanyi to Berlin - as you did what you did for that very reason, what it means to me to be able to get out of here, so that I could work, getting out of here, where scientific work, at least for me, is both physically and psychologically equally impossible. Your encouragement and active support, I believe, made successful work possible . Derailed as a result in his scientific activities, Brody indicated that he could not work in physical chemistry, and as a result, devoted his energies to the theory of relativity . «For the moment I find Berlin the most appropriate to go to», he added, though scientists Max Born and James Franck had helped him to get a job at the University of Göttingen . Brody was one of the few notable émigré scientists to return to Hungary and fall victim of Nazism there. Joining pre-War Hungarian groups and friends in Germany, Hungarians, most of Jewish origin, came by the hundreds to Berlin in the 1920s. They came to study, to find a job, to start their career. They found what increasingly amounted to a Hungarian community, with bass Oszkár Kálmán singing in the Staatsoper and tenor Pál Fehér in the Städtische Oper, and a host of Hungarian singers including Gitta Alpár, Rózsi Bársony, Oszkár Dénes and Tibor Halmai featuring in Paul Abraham's popular new operetta Ball im Savoy. Even after the Nazi takeover, Maestro Fritz Busch presented Verdi's Un Ballo in Maschera in the Städtische Oper with Hungarian stars soprano Mária Németh and tenor Koloman von Pataky. Accompanist Árpád Sándor was an organic part of the musical life of the city . Hungarians assembled in four different circles which alternately organized the annual Hungarian ball, helped introduce the new Berlitz method for studying German, and socialized around the Collegium Hungaricum of Berlin, which attracted influential people like the Prussian Minister of Culture Karl Heinrich Becker, physicists such as Max Planck and Albert Einstein, and linguists Bang Kaup and Lévy . Berlin was certainly not the only place to go or stay in, however. Mathematician Gábor Szego was happy to accept a full professorship at Königsberg in 1926, chemist Ferenc Korösy went to study at Karlsruhe in 1923, philosopher Karl Mannheim settled in Heidelberg, where he had studied before World War I , and mathematician Otto Szász gave up a position at the University of Frankfurt a. M. in 1933 to leave for the U.S. where he taught mostly in Cincinnati . The history of Jewish-Hungarian scientists and social scientists is the best documented but certainly not the only example of step-migration through Germany to the United States. Several German-Hungarian filmmakers also left Hungary after the Summer of 1919, a well-documented pattern of left-wing intellectuals who participated in some form of Hungary's Soviet-type political experiment, the Republic of Councils. Hungarian filmmakers formed an integral part of the German film industry immediately after World War I. German film established its independence from foreign influence after World War I and film production was supported by massive government aid: UFA (Universum Film Aktien Gesellschaft) was founded in 1917 and remained the dominant force of the film industry until the end of World War II. The 1920s became known as the golden age of the German cinema. A large number of Hungarians served their film apprenticeship at the UFA studios in Berlin-Babelsberg. As they did not all work there continuously until Hitler emerged, they did not all leave Germany as a group after 1933. Director Michael Curtiz (Mihály Kertész), director (Sir) Alexander Korda, actor Bela Lugosi, Paul Lukas (Pál Lukács), director Charles Vidor, screenwriter Ladislaus (László) Vajda, and actor Victor Varconi left Germany for the United States well before the Nazis came, as they had found Hollywood's offers more attractive . The attachment Germany held for Hungarian immigrants can best be illustrated through cases when émigré Hungarians were, successfully or unsuccessfully, lured to some other country in the pre-Nazi period. The first test of immigrant loyalty in Germany came in 1923-24 when inflation and unemployment suddenly destabilized the economic and social situation of most newcomers. Some Hungarian émigrés, particularly those who essentially failed, or felt themselves to have failed in Germany, were lured back to Hungary in hope of greater personal stability. Frightened by the rampant inflation that swept across Germany in 1923, several newcomers gave up their good German jobs only to become quickly disillusioned in Budapest. Engineer Imre Pártos was employed as a leading engineer at the Cologne firm Heinrich Butzer, but decided to return to Hungary when the German currency dramatically collapsed in the late Fall of 1923. But within a year and a half, it had become evident that he had made a big mistake. Life is very sad here in Budapest, unemployment grows almost by the hour, people are naturally sad, the city is desolate in the evenings, and the Winter will be unbearable unless conditions get better in a month or two. The famous good old spirit is gone and few companies may survive these critical times in good health. Pártos complained to Professor von Kármán from Budapest . «The local situation is best shown by the case of our mutual friend Tibor Szivessy who ... accepted a job in Saloniki, ... but so many Hungarian engineers emigrated there that the salaries became so low that one can hardly survive from them» . At this point, engineer Pártos desperately tried to get back to Germany to find a decent job there, and was eventually supported by Professor von Kármán. Several psychologists returned from Germany after a few years. Lajos Kardos studied with Karl Bühler in Vienna and published his first major articles in Germany . A Rockefeller grant later took him to Columbia University in 1930-31 . Psychoanalyst Michael Balint became dissatisfied with his Berlin experiences and also returned from Germany in 1924. Though he admired the Berlin psychoanalytical clinic in its heydays under Karl Abraham and Ernst Simmel, with colleagues such as Max Eitingen, Franz Alexander (himself a Hungarian by birth), Melanie Klein, Helene Deutsch, Mary Chadwick and others, «We had enough of Berlin. I had my Ph.D. by that time», Balint remembered the mid-1920s. But he soon discovered that times were also hard in Budapest. «We were very squashed in the University, with the Horthy Regime and anti-Semitism, and analysis was a very left wing thing. All sorts of troubles» . Balint left again and went to the U.S. for a year in 1926. In 1930 he opened his own clinic in Budapest, associated with the Hungarian Psychoanalytical Society, and consciously modeled after the Berlin clinic he had known so well. It lasted for eight years only: when the Germans occupied Austria, Balint «thought that was the time to go. I didn't want to be caught up in it. So I tried to move all sorts of things, and eventually we got permission to come to England» . Hugo Scheiber was the last of this group to return, in 1934. Few of these artists were versatile and experimental enough to enter into the European artistic mainstream of the 1920s, though some of them such as László Moholy-Nagy and László Péri, exhibited their work with the best-known contemporary avant-garde visual artists, such as Archipenko, El Lissitzky, Gabo, Malevich, Puni and Tatlin . Discovered by Herwarth Walden, Moholy-Nagy and Péri entered the Berlin art scene with uncommon vigor and success through the famous modernist gallery Der Sturm . Versatile and innovative, Moholy-Nagy joined Walter Gropius and became co-founder of the Bauhaus. 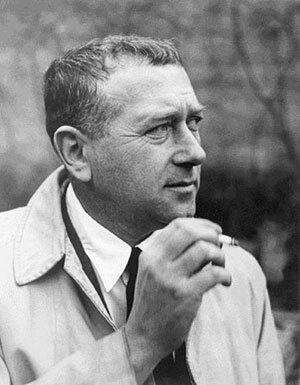 Together with architect Marcel Breuer, he ultimately moved to the U.S., becoming one of the few Hungarian visual artists to make a lasting international reputation . His success as well as Péri's, and the growing fame of brilliant and powerful Hungarian photographers such as Brassaï, Robert Capa, György Kepes and André Kertész, rests on their having introduced radically new techniques such as collage, assemblage, and photomontage, as well as experimental approaches to space and time, making their talents imperative in the burgeoning business of advertising. Completely different was the case of those scientists who were a success in Germany and had already developed an international reputation. These personages were repeatedly tempted to return to Hungary, both by private businesses as well as by the government, nevertheless they felt secure enough to say no to both. A remarkable example was Michael Polanyi, the distinguished physical chemist in Berlin. Polanyi considered a job in the research department of Hungary's internationally recognized United Lightbulb and Electric Co. , then under the direction of Professor Ignác Pfeifer. Returning in early 1923 from a business trip in The Netherlands, Pfeifer stopped in Berlin in an attempt to persuade Polanyi to take a job in the company's Budapest-based chemical, physical and metallographical laboratory which is «quite well equipped by our circumstances» . Polanyi declined the invitation, offering, however, to work for the Budapest company in his Berlin laboratory . At one point toward the end of the 1920s, the Hungarian government began to realize the impact on Hungarian culture of the continuous outward flow of émigré professionals. Count Kuno Klebelsberg, Minister of Religion and Public Education between 1922 and 1931, visited some of the key German universities trying to invite promising Hungarian scientists back to Hungary. «When Klebi [Klebelsberg] celebrated some time ago in Göttingen, mathematician Courant who sat next to him at the dinner table tried to impress him by listing a number of Hungarian though non-Aryan scientists (such as [Lipót] Fejér, [George] Polya, Misi [Michael Polanyi], [John von] Neumann, [Theodore von] Kármán, Gábor [Szego])," who did well in Germany. "[Max] Born seconded. Klebi said that Misi had received an invitation to return to Budapest. . . . Tammann [also at the table that night] remarked that he doubted whether Misi would accept the invitation, and give up his position in Germany. Klebi responded with the by now classical adage: Wenn Vaterland ruft, kommt Ungar! [If Fatherland calls, the Hungarian comes!]" and adding with a measure of cynicism, "Si non è vero, è ben trovato. [If it's not true, it's well invented.]» . Chauvinism and particularism would take a cruel revenge there, - he said - for them we must open the gates widely ... May a lot of people come in, a great many of them, as many as possibly can, with the new inventions of new times, new methods of production, and, first and foremost, with new energies . The article stirred the Hungarian émigré community in Germany. Michael Polanyi showed his copy of Pesti Napló to his Berlin friends. Prospective Nobel Laureate Eugene Wigner and Leo Szilard actually signed it as if acknowledging the message — but decided to stay. A day after the article appeared, the minister was interviewed about the actual intentions of the government. Klebelsberg apparently became suddenly cautious and backed up when confronted with questions about returning professors, suggesting that this was in fact up to the Hungarian universities. Some people did return, however, the most notable among them, prospective Nobel Laureate Albert Szent-Györgyi, concluding a successful period of research in Groningen (Holland), Cambridge (England) and the Mayo Clinic at Rochester, Minnesota, and returning to Hungary in 1928, apparently at the instigation of Count Kuno Klebelsberg . Others, such as the celebrated Hungarian-American conductor Fritz Reiner of Cincinnati, also toyed with the plan of returning to Hungary, where he was apparently invited to become music director of the Budapest Opera. Reiner’s conditions, however, were so demanding that the idea never materialized . You should only ponder about the American job if the offer is indeed very very good, if you are not supposed to be further promoted but the very best and safest is ready right away. ... But even in this case it must be considered a hundred times. At the same time, vis-à-vis the current conditions, it cannot be dismissed a limine [=offhand] . A few months later, when Szego refused the American job, Fejér sighed with relief: «I am happy that you did not go to America. I talked to Mieses about you in Innsbruck and he said that, with the safety of human foresight, you will succeed in Germany in terms of a job nicely and in time. ... I believe you may feel safe» . Indeed, Szego became an außerordentlicher Professor in early 1925 in Berlin and a full professor at Königsberg in 1926 where he taught until the Nazi takeover . Perhaps the best established Hungarian scientist in pre-Nazi Germany was Theodore von Kármán. He studied mathematics, physics, and mechanics at the University of Göttingen where, upon receiving his doctoral degree, he was appointed Privatdozent in 1909. He became Director of the University of Aachen's newly founded Aeronautical Institute in 1912. His reputation had become international by the post-War era and it was logical that the Daniel Guggenheim Fund for the Promotion of Aeronautics invited him in 1926 to lecture at various U.S. universities and research institutions. He also served as advisor on the design of the Guggenheim Aeronautical Laboratories at the California Institute of Technology. Following his U.S. lecture series, he made a lecture/study tour of China, India, and Japan. Between 1927 and 1929 he was also consultant to the Kawanishi Airplane Company at Kobe in Japan. Following his U.S. tour, Professor von Kármán made arrangements in early 1927 with the California Institute of Technology at Pasadena for an exchange between the University of Aachen and Caltech. Dr. Paul S. Epstein was to be received in Aachen and von Kármán to visit Pasadena for an academic quarter in each case . It was no coincidence that Von Kármán became an asset to aeronautical engineering in the United States, and particularly aerodynamic research: his increasingly frequent and extended invitations to Pasadena were exactly in the period when the United States had become passionately involved in developing aviation and turning it into a profitable business. The Guggenheim family alone invested over $3,000,000 between 1926-1929 in promoting aeronautical education, assisting fundamental aeronautical science, the development of commercial aircraft, as well as the application of aircraft in business and industry . As Harry F. Guggenheim, President of the New York-based Daniel Guggenheim Fund for the Promotion of Aeronautics, observed in September 1929, «aeronautical developments have taken place [since the beginning of 1926] in this country which have even surpassed the hopes and anticipations of men of the greatest vision». «In the past three years», Guggenheim added, «the general public have changed from a state of apathetic indifference to aviation to one of intense enthusiasm» . After several quarters of visiting professorship and apparently several years of hesitation, von Kármán accepted an invitation from Nobel Laureate Robert Andrews Millikan, head of the Norman Bridge Laboratory of Physics at Caltech in 1929 to settle in Pasadena on a permanent basis . What was offered to von Kármán was probably the single most distinguished job that ever went to a Hungarian in the United States as of that date: on April 1, 1930, before he was 50 years old, he took over as Director of the Daniel Guggenheim Graduate School of Aeronautics at the California Institute of Technology for the then outstanding salary of $12,000 per year, with an astronomical annual budget of $50,000 under his control. Von Kármán also had additional responsibility for the Guggenheim Airship Institute at Akron, Ohio . The Graduate School was part of a larger scheme whereby the Guggenheim Fund assisted in the establishment of aeronautical engineering schools at five leading universities and added, somewhat later, another at a Southern university as well . Jewish-Hungarian von Kármán left Germany well before Hitler's Machtergreifung and his settling at Caltech was a consequence of developments inherent in his research area, and not of political or racial persecution. Nevertheless, when the Nazis came to power, he severed his links with Germany. «I got a short letter from Berlin suggesting that I take up my activities over there in the fall», he wrote to his colleague and friend Professor Ludwig Prandtl of Göttingen in August 1933. «I do not think I will do this»; he added ironically, «I find my situation here quite satisfactory. The German academic life has some advantages, for instance a definitely better beer than here, but I think you will agree with me that this is not sufficient reason for me to neglect the disadvantages» . After the War, he was one of those international scientists who were immediately consulted on the problems and prospects of German scientific research in peace . But he sharply declined the invitation of the Göttingen Academy of Sciences to rejoin their ranks in 1947, and did not reconsider his decision, even at the benevolent intervention of Nobel Laureate James Franck (Physics, 1925) who, along with Lise Meitner and R. Ladenburg, rejoined the Göttingen Academy . (Though foreigners anyway, Jewish-Hungarian members of German scientific organizations typically left after the Nazi takeover. Another example was John von Neumann who left the Deutsche Mathematiker-Vereinigung in 1935 shortly after his Mathematische Grundlagen der Quantenmechanik was published in Berlin). Similarly to von Kármán, Michael Polanyi was also offered an opportunity to leave Germany before the Nazi takeover. In early 1932, the University of Manchester in Great Britain invited him to become professor of physical chemistry. Polanyi hesitated to leave Germany, «where I am rooted with the greater part of my being» . He also felt that it is unfair to leave Germany when it is in such a difficult situation. «I am unwilling to leave a community which is currently in difficulty after sharing the good times earlier», he answered to Professor Lapworth in Manchester. Nevertheless, he started to make inquiries into the situation at the University of Manchester and established a large set of preconditions in case he decided to come. He demanded that a new laboratory consisting of a suite of 8-10 rooms be built for him for the considerable sum of £20-25,000, equipped with apparatus costing £10,000 and complete with 8-10 «personal collaborators» to work with . The University of Manchester turned to the Rockefeller Foundation to support Polanyi's new physical chemical laboratories, but was determined to go ahead with the plans even before the Foundation responded. Throughout the year 1932, intensive planning was carried out to prepare the venture and in mid-December, Vice-Chancellor Walter H. Moberly sent a formal invitation to Polanyi to take the Chair of Physical Chemistry at Manchester for an annual stipend of £1500 . As late as Christmas 1932, the University was in the midst of planning to erect the new building «as quickly as possible» so that it comply «fully with the requirements of yourself and Professor Lapworth» . By mid-January 1933, Polanyi abruptly changed his mind. Two weeks before Hitler's takeover he declined to accept the invitation to Manchester citing his unwillingness to settle for good in Manchester, as well as the poor climatic conditions of the area as his main reasons . Though he initially believed that his military service during World War I would exempt him from the early anti-Semitic legislation of the Third Reich and would leave him secure in his position at the University, within weeks he realized the gravity of his mistake. He indicated to his British friends that he had changed his mind and was now ready «to accept the chair in Manchester on any conditions that are considered fair and reasonable by the University, in consideration of the changes that have occurred since [I refused the position in December] January» . It was almost too late: Manchester had in the meantime invited an organic chemist, and though a modest invitation was extended to Polanyi as a third professor, «the University could not give a salary of more than £1250, and as they have in the meantime embarked on other projects as capital expenditure, they would not be able to embark on the proposed new laboratory for at least two or three years» . Another invitation in early May 1933 to take a Research Professorship in Physical Chemistry at the Carnegie Institute of Technology in Pittsburgh, Pennsylvania, also came too late: by then Polanyi, well known in the United States from Princeton to Minnesota, had made his arrangements to go to England . On April 26, 1933 the «Neues Wiener Abendblatt» reported the resignation of Professor Polanyi in Berlin; on July 14 «The Manchester Guardian» announced his invitation to the Chair of Physical Chemistry at the University of Manchester . It is important to observe closely Polanyi's hesitation to relocate to Manchester in 1932-33. For people like Polanyi, deeply rooted in the ideas and ideals of 19th century liberalism, with a tolerant vision of the world and of science, it was difficult to accept the reality of the brutal and manipulative forces of interwar totalitarian systems. He belonged to a generation of scientists which, for the first time in human history, had to witness, and were consequently shocked by, the misuse of science for terrifying autocratic purposes. Polanyi first noticed these threats to freedom in the Soviet Union where he had paid well documented visits in 1930, 1932, and 1935. According to a note in his Personal Knowledge, he met with Nikolai Ivanovich Bukharin, who had even personally tried to convince him «that pure science, as distinct from technology, can exist only in a class society» . In due course, the director of the Institute of Physical Chemistry in Leningrad, the prospective Nobel Laureate Nikolai N. Semenov, offered a department to Polanyi in his institute, Polanyi declined the job but consented to come to Leningrad for regular consultations (for six weeks twice a year) . Around 1932, Michael Polanyi came to accept the opinion of his brother who was highly critical of what went on in Stalin's country and, as Karl reported happily to their mother, they reached an understanding as to «our views of the Soviet Union that were dividing us for such a long time [and] now considerably coincide» . It was at this junction that Polanyi was forced to understand the potential threat of a political change in Germany as well. Almost until it was too late, he had believed in the strength and survival of the tolerant and liberal political and social values of Weimar Germany and found a right wing takeover unlikely. Polanyi was not alone in his misjudgment: as late as January 1933, the operetta Ball im Savoy by Hungarian Berliner Paul Abraham's was played with enormous success in Berlin and sung by Hungarian stars Gitta Alpár and Rózsi Bársony – a composer and two singers who, within a matter of a few weeks, had no place in Hitler's officially anti-Semitic Germany . gib fremden Juden in deinem Reich nicht Raum! Arisches Blut soll nicht untergeh'n! Brüder auf zum letzten Kampfe für das Varterland. Fort mit Juden und Verrätern. Freiheit oder Tod. Adolf Hitler schwör'n wir Treue. Treue bis zum Tod . Some Hungarians such as Michael Polanyi collected Nazi propaganda material and their Jewish immigration statistics such as those claiming that of 404,000 Jews in Prussia in 1925, some 76,000 were foreigners — and therefore recognized the Nazi perspective which held this as entirely unacceptable . The same sources also suggested that there was a «Jewish overalienization in the scientific and artistic professions in Berlin» . Yet, living the sheltered life of a Berlin University professor, Polanyi, along with many other refugee foreigners as well as Germans, was both unprepared and unwilling to realize the dangers of an eventual Nazi dictatorship. He received ample warning: already by the Summer of 1932, friends urged him to give up his naiveté as to the chances of preserving the political situation in Germany. "If we lift our leg we must put it down somewhere, forwards or backwards, right or left!»  - he was urged by a friend of the family. Some of us still recall that before 1914 you could travel across all the countries of Europe without a passport and settle down in any place you pleased without a permit. The measure of political tolerance which commonly prevailed in those days can be best assessed by remembering local conditions which at the time were considered as exceptionally bad. The domineering and capricious personal régime of Wilhelm II was widely resented, even though it allowed, for example, the popular satirical paper, Simplicissimus, regularly to print the most biting cartoons, jokes and verse directed against the Kaiser. Europe shuddered at the horrors of Tsarist oppression, though under it Tolstoy could continue to attack from his country seat in Yasnaya Polyana with complete impunity the Tsar and the Holy Synod, and persistently preach disobedience against the fundamental laws of the State, while pilgrims from all the corners of the earth could travel unmolested to Yasnaya Polyana to pay tribute to him. After less than a generation, say in 1935, we find that all the freedom and tolerance which only a few years earlier had been so confidently taken for granted, has vanished over the main parts of Europe . It was the twin experience of Soviet-Russian and Nazi-German totalitarianism, a shock for Polanyi's entire generation , that ultimately forced him to accept asylum in England. Understanding, finally, in 1934 the nature of forces threatening his freedom, and the freedom of science in general, he made a «Copernican turn», changing not only his country of residence but also his language and his field of research. In this sense, Polanyi chose a very special, complex form of emigration: first he left medicine, then Hungary and the Hungarian language, then he left Germany for Britain, as well as science for philosophy, and chose English rather than German as an exclusive language of publication. Consequently, it was from having undertaken this enormous change that he was able to work repeatedly to refine the social position of knowledge and science. Throughout his long journey from the «peace» of pre-World War I Hungary, through Weimar Germany and into England, Polanyi pursued democracy and a liberal scientific atmosphere, broadening at the same time his own intellectual horizon, from a narrower scientific discipline towards a philosophy of knowledge that was to become sensitive both to ethical as well as political issues. Polanyi's combined inquiries as a scientist and a philosopher resulted ultimately in the 1951-52 Gifford Lectures at the University of Aderdeen in Scotland which served as the basis of his celebrated Personal Knowledge . Becoming a philosopher seems to have been Polanyi's means of moving out of the cumulative deadlock of his scientific career. Though Germany was certainly the most tempting and promising emigrant destination after World War I, Hungarian step-migration to the United States did not lead through Germany alone. Persecuted in or barred from their homeland, many young Hungarians, usually equipped with a good working knowledge of German (and German alone), moved to a number of other German-speaking countries. Karl Polanyi became increasingly anxious to leave Vienna for Berlin and prepared to transfer his paper to the German capital . «A hundred doubts, a thousand problems», a friend wrote to Michael Polanyi. This doubt and restlessness tortures everybody and as people exchange their Deutschmarks into [U.S.] dollars, their dollars into [Swiss] francs, their francs into [Russian] rubles, they change their beliefs accordingly. Revolutionaries, monarchists, republicans, terrorists, religious errants, etc., etc. The road is loud of the army of the erring and mistaking, their word makes the world loud . Many young people went to Czechoslovak universities. There were general and technical German universities both in Prague and in Brno; this, combined with the shared cultural heritage within the Austro-Hungarian Monarchy, as well as the budding democracy of the new country, proved to be very attractive. «There was an entire colony of Hungarian students in Brno», remembered engineer Marcel Stein in an interview granted in New York in 1989. I came from a Pozsony (Bratislava, Preßburg) family where the mother tongue was German. Most of us in Brno were not Communists, but members of the Jewish middle-class. For the holidays, students [like Mr. Stein] went to Pozsony rather than Budapest, but after graduation the majority returned to Hungary. Some of them continued their studies in Berlin-Charlottenburg and Karlsruhe in Germany, or, like the eminent engineer László Heller, in Zürich, Switzerland. Coming home to anti-Semitic Hungary was a real shock after the experiences in democratic Czechoslovakia . The German universities of Czechoslovakia were very popular among the Hungarian-born citizens of that country. Though born in Nagyvárad (today Roumania), Kálmán Z. Istók was educated in Rim. Sobota (Czeschoslovakia), and received his medical degree in 1934 at the German Charles University in Prague. He practiced medicine in Czechoslovakia until early 1945 when he left for Austria to become a doctor at various Displaced Persons hospitals. He emigrated to the U.S. through the International Rescue Committee as well as the National Committee for Resettlement of Foreign Physicians in 1951 . Several in the Hungarian community of Pozsony (today Bratislava, Slovakia) attempted to have their children educated in Germany. Some worked through Hungarian connections in Germany and, later, in the U.S., and sent these often very gifted students to German or American universities. This was the case of engineering professor Andrew Fejér whose parents desperately tried to send him to study with Theodore von Kármán in Aachen in 1930, and when that plan failed, joined him as a graduate student at Caltech in Pasadena in 1938 . The Hungarian intellectual diaspora was huge and not confined to German-speaking Europe: it was scattered all over the Continent. The human geography of Hungarian intellectual migrations followed a complex pattern. Mathematician György Pólya married his Swiss professor's daughter and settled in Switzerland during World War I. He became a citizen of Zürich in early 1918 and ultimately, in 1928, a full professor of the reputable Eidgenössische Technische Hochschule of that city. It was at the invitation of his friend and co-author Gábor Szego, that he left Switzerland for Stanford University shortly after the outbreak of World War II . Not even all of the eminent Hungarians who wished to go to Germany could go there. «There are enough physical chemists in Germany so it is hardly possible for me to get a job there. I don't even entertain such plans», prospective Nobel Laureate Georg de Hevesy (Chemistry 1943) wrote to Michael Polanyi in early 1920, as he settled in the institute of Nobel Laureate Niels Bohr in Copenhagen, Denmark . Nevertheless, he maintained his scientific connections with Germany in subsequent years . Life in post-War Copenhagen characteristically reminded Hevesy «of the good old times when there was a k.u.k. army and other nice institutions, and retired generals and others like them lived in Graz or Klagenfurt» . On a sabbatical from the University of Budapest, psychologist Géza Révész left for Germany in 1920. 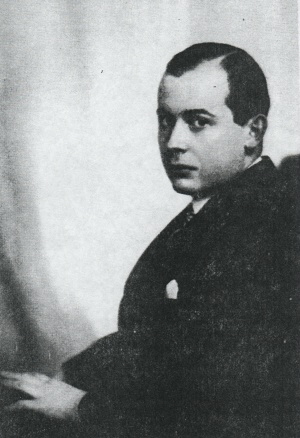 Révész was the son-in-law of Professor Bernát Alexander, the celebrated Budapest scholar, who already had a central position in Budapest intellectual high society as a young man. Family connections also played a role in his unfolding career in Hungary, where he became a full professor in 1918. Nevertheless, he felt he had to go after the great upheaval of 1918-20. This was the time of remarkable growth in German psychology, and Révész tried to settle in Göttingen, where he had studied from 1902-06. In search of a job, he also visited Heidelberg, Frankfurt, Rostock, Munich, and Berlin. When it became obvious that there was no chance for him in Germany, he accepted an invitation from the University of Amsterdam in the spring of 1921. A year later he discontinued his job in Budapest; in 1932 he became Head of the Psychological Laboratory in Amsterdam, and subsequently a naturalized Dutch citizen. Though several of his relations did go to the United States, Révész never wanted to leave Europe. Unlike his brother-in-law, Franz Alexander, he considered the U.S. culture alien to him and his world. Thus, music and language psychologist Géza Révész became internationally acknowledged at the University of Amsterdam, where he was a full professor from 1939 . Mathematician Marcel Riesz settled in Sweden, taught in Stockholm and in Lund until 1952 when he went to teach in the United States at Princeton, Stanford, the University of Maryland and the University of Indiana . Some Hungarians who were not in a position to leave the country chose a special form of intellectual migration, that of publishing their books and articles in Germany throughout the 1920s and the early 1930s. Some of the politically motivated books by historians Gyula Szekfu and Elemér Mályusz were first published in Germany . Non-political books were also taken to German publishers, such as the one on Hungarian geniuses by psychologist H. von Szirmay-Pulszky . Theodore's brother Elemér von Kármán, an expert in correctional education, published his Einführung in die Kriminalpaedagogik in München in 1923 and was immediately contracted by the Berlin publisher Carl Heymann to write another book with two eminent German scholars, on Leitfaden für die Untersuchung verwahrloster und krimineller Kinder und Jugendlichen . Similarly, important Hungarian singers such as Gitta Alpár, Piroska Anday, Mária Németh, and Koloman von Pataky were frequent guests of German and Austrian operas without actually leaving Hungary permanently. Authors such as Ferenc Molnár and Ignotus increasingly spent their time out of the country without it being considered an «emigration». Further research should illuminate how this kind of "overseas" publishing, musical activities, and lifestyles can be seen as important but hidden forms of intellectual migration. January 30, 1933 brought a terrible end to Jewish-Hungarian presence in Germany. Emigration to other European countries and into the United States started immediately. The outward flow of eminent German-Jewish professionals resulted in one of the greatest intellectual migrations in world history and in one of the most tragic losses the German mind had ever suffered. But was it really the "German mind" alone that suffered from the Nazi take-over? After Adolf Hitler was sworn in as Chancellor of Germany, it took very little time for even the most optimistic or naïve Jewish-Hungarians in Germany to realize the terrifying urgency of escaping the country. They had several options: the most natural was to return to Hungary where the right-wing régime of Regent Miklós Horthy (1920-44) and Prime Minister Gyula Gömbös (1932-34) was friendly towards the new Germany but not yet adhering to its virulent anti-Semitism. Hungarian Jews enjoyed a decade of undiscriminating citizenship, from the late 1920s through the first anti-Semitic laws in 1938-39, and many who felt threatened in Germany returned, after some hesitation, to Budapest. Another option was to leave for some other European country: many went to Czechoslovakia, France, the Netherlands, countries which provided temporary asylum with the coming of World War II. A sizable group felt unsafe anywhere on the Continent of Europe and headed immediately towards Britain or the United States. The international community of scientists and scholars showed a great deal of compassion for those being threatened by Hitler. They supported emigrating colleagues from Germany by providing the necessary organizational framework and material assistance , providing for some 6000 highly qualified professionals to leave Germany in quick succession . A number of parallel initiatives emerged to bring about an effective framework for rescuing the community of German-Jewish scientists. In May 1933, scientists in Great Britain established the Academic Assistance Council (first conceived as the International Board of Scientists and Scholars) with Nobel Laureate Lord Rutherford as President and Sir William [later Lord] Beveridge and Professor C.S. Gibson as Secretaries . A few weeks later the Emergency Committee in Aid of Displaced German (later Foreign) Scholars was established as the American counterpart of the AAC to provide grants or fellowships to immigrant scientists and scholars . The main contributions to the Emergency Committee funds came from Jewish foundations and individuals . Another support committee, the Comité International pour la Placement des Intellectuels Réfugiés, was formed in Geneva, offering positions to refugee professors from Austria, Germany, and Italy . Jewish groups in Europe considered raising funds for a new university based on refugee faculty alone, an idea that originated in the mind of Albert Einstein who envisaged a Flüchtlingsuniversität, a refugee or emigrant university somewhere in Europe . 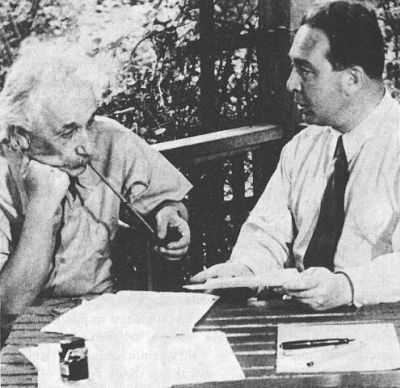 A longtime and valued colleague, Leo Szilard was able to convince Einstein «that this would not be an easy task», and that he should "concentrate on one promising effort» . This is how Einstein began to support the idea of the Academic Assistance Council. Another suggestion was to raise more money for the Palestine University . Immediately after the recession, however, there was not enough money for any of these projects to materialize. Instead, several agencies provided relief of some sort, such as the Jewish Relief Committee in Amsterdam. Hungarian by birth but holding a Chair of General Pathology and Pathological Anatomy at Frankfurt-am-Main in Germany, was an immediate victim of Hitler's racial persecution and went in March 1933 to Zürich in Switzerland. There he founded at once the Notgemeinschaft and directed it for six months. ... For money it had to depend almost wholly on contributions from displaced scholars whom it had helped to re-establish. But by its personal knowledge of the scholars themselves and by using its contacts with universities everywhere, it [the Notgemeinschaft] rendered invaluable service . These services included providing a list of nearly 1500 names of dismissed academics in Germany, which was published in 1936 with the assistance of the Rockefeller Foundation . The first major success of the Notgemeinschaft was an agreement with the Turkish government to place 33 German professors at the University of Istanbul. Similar arrangements were discussed with Australian, Indian, South African, Soviet and U.S. authorities as well as with the Committee for Intellectual Cooperation of the League of Nations. Szilard is a very rare example of a man because of his combination of great purely scientific acumen, his ability to immerse himself in and solve technical problems, his fascination and fantasy for organizing, and his great sensitivity and compassion for people in need. ... What I find so particularly enviable in him, is that he reacts to any difficulty which may arise with immediate action rather than depression or resignation. For even though this procedure is not always successful, an energetic reaction is still vastly more fruitful than a passive attitude. I feel deeply ashamed when I see how wonderfully energetically he immediately set about doing everything in his power to work for the Jewish-German scholars. ... he simply felt that, confronted with this great, wild catastrophe, his first duty was to use his special talents in organizing aid for a specific subgroup of scientists . Also among fellow-Hungarians in Germany, Szilard was well-known as a man always ready to help. Philosopher Karl Mannheim, who worked with Szilard on the establishment of the Academic Assistance Council in 1933, remembered him as one who «belongs to that rare group of people who never demand something for themselves» . Another friend and colleague, Eugene Wigner also had nothing but lavish praises for Szilard's unselfishness . Perhaps more than anybody else, Szilard contributed to the foundation of the Academic Assistance Council in 1933. Escaping Berlin shortly after the burning of the Reichstag, he had accidentally met Sir William Beveridge in Vienna. Szilard persuaded Beveridge to form a committee in aid of refugee scientists and scholars and followed him to England . He did the job worthy of an entire team but was on occasion viewed even with suspicion. Leaving London in early May, he traveled for a month on the Continent. Szilard wrote to Dr. Max Delbrück . In Belgium he met the Rectors of all four Belgian universities, as well as Professor Jacques Errera of the University of Brussels and Hendrik de Man who assisted him in mobilizing Belgian colleagues to aid refugee scientists and scholars . In Switzerland, he talked to Dr. Kullman of the Committee for Intellectual Cooperation at the League of Nations and Dr. Kotschnig of the International Student Service . In Britain, Szilard met with university leaders and leading scientists such as Sir William [subsequently Lord] Beveridge, Director of the London School of Economics and Political Science, Professor Frederick George Donnan of University College, London, Professor Gilbert Murray of Oxford, Chairman of the League of Nations Committee for Intellectual Cooperation, Sir John Russell, Professor G. H. Hardy (Cambridge), Nobel Laureates Niels Bohr (Physics 1922) and Archibald V. Hill (Physiology 1922), Lord Melchett, as well as Jewish leaders Neville Laski, Claude Joseph Goldsmid Montefiore, Sir Philip Hartog, Chairman of the Committee of the Jewish Board of Deputies and the Anglo-Jewish Association, and Dr. Chaim Weizmann, the future President of Israel . He worked in the office of the Academic Assistance Council headquartered in the Royal Society on the Piccadilly in London . complete appreciation for his directness and trustworthiness. His unselfishness is almost unparalleled among my acquaintances. He has an imagination that would be of extraordinary use to him and to any institution for which he works. I don't know if a purely scientific job would be the best for him, although this should be also considered . Wigner thought of two possible jobs for Szilard, neither of them in academia. Likewise, Theodore von Kármán did «not think that the case of Szilard is a very strong one» , when asked for his comments on Szilard as a prospective U.S. visiting professor in 1934. 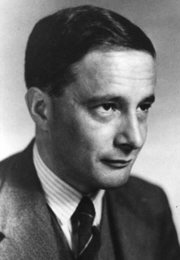 The Academic Assistance Council helped several Hungarian scholars get to Britain including Michael Polanyi’s brother Karl , and Szilard also considered mobilizing the Nobel Laureates in aid of the refugee scientists and scholars, but the plan failed to receive general approval and was soon dropped . Himself securely on his way to Britain, Michael Polanyi tried to help some of his gifted students in Germany obtain a scholarship to Britain . Szilard soon realized that a fellowship granted by the Academic Assistance Council would not necessarily result in a permanent appointment in England. It is therefore important to take up every case as soon as possible with America and other countries in order to get a more uniform distribution as far as permanent appointments are concerned. A certain number of American scientists and scholars should in view of this problem be asked to act as correspondent members of the Academic Assistance Council . The academic community in the United States was horrified to learn of what was happening in Germany. German-born Franz Boas was one of the first to receive an authentic report from Benjamin Liebowitz who had travelled throughout Europe collecting information and helping plan relief operations. «It is impossible to describe the utter despair of all classes of Jews in Germany», he wrote in early May 1933 to Boas. The thoroughness with which they are being hunted out and stopped short in their careers is appalling. Unless help comes from the outside, there is no outlook for thousands, perhaps hundreds of thousands, except starvation or the sleeping pill. It is a gigantic 'cold' pogrom. And it is not only against Jews; Communists, of course, are included, but are not singled out racially; social democrats and liberals generally are coming under the ban, especially if they protest in the least against the Nazi movement. Please note that I am not speaking from hearsay: I know people, friends in many classes - scientists, scholars, doctors, lawyers, business men, economists, etc. The whole American nation is a unit as respects the crazy performances of the German Government. Göttingen has been absolutely ruined and the University students must all be mad. Nothing crazier has happened in human history since the days of the French Terror . Acting through Benjamin Liebowitz, Szilard was instrumental in securing contributions from Franz Boas of Columbia University who played a leading role in marshalling support for the refugee cause . Boas invited John Dewey, [probably Frank William] Taussig, Raymond Pearl, Walter Cannon and others (including even Ezra Pound) to serve on a board that coordinated the Academic Assistance Council and U.S. universities and scientists . Other Hungarians who contributed toward launching the support project included John von Neumann and Theodore von Kármán who played an active role in relief operations. Von Neumann, then Professor of Mathematics in the Institute for Advanced Study, was asked to provide information about scientists in trouble in Germany. «It would be a good idea», Princeton mathematician Oswald Veblen wrote to John von Neumann, «to write me whatever you know in detail about the mathematicians and physicists who are in difficulties» . Veblen also reported that «there are a number of attempts being made to raise money to provide relief in this country for the Jews and Liberals who are being dispossessed in Germany» . Von Neumann himself supported the Notgemeinschaft Deutscher Wissenschaftler im Ausland, both in terms of supplying money and information . Another important group of Hungarians who were forced to leave Germany by the Nazi takeover were the filmmakers. The exodus of 1500 members of the German filmmaking community including a number of top producers, directors and performers during the Nazi era was a turning point in the history of the German film industry. Celebrities of the German screen along with film technicians and other artists left Germany after 1933 and moved to Vienna, Prague, Paris, London, Palestine, Mexico and the United States. 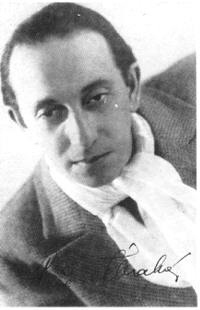 Though we do not have a complete list of all the Hungarian casualties, the best-known filmmakers who left Germany for the U.S. after 1933 included Laslo (László) Benedek (the internationally celebrated hero of the psychopathic M), actor Peter Lorre, director Andrew (Endre) Marton, producer-director George Pal (Pál), producer-director Gabriel Pascal, actor S.Z. Sakall ("Szoke Szakál", b. Szakáll Gero Jeno), as well as director Steve Sekely (István Székely) . 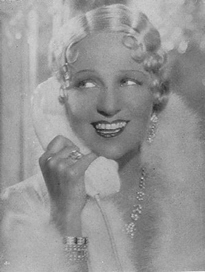 Several of the émigré directors and producers continued working successfully in the United States, though most actors had to be satisfied with minor roles of "foreigners" in Hollywood productions . Altogether some 65 Hungarians appear on the lists of the Committee. They were almost exclusively Jewish-Hungarian and left the country, directly or indirectly, for the U.S., for that particular reason. The greater part of these left Hungary after the institution of the anti-Semitic laws between 1938-41. A sizable group had already left in, or right after 1933, by way of Germany. 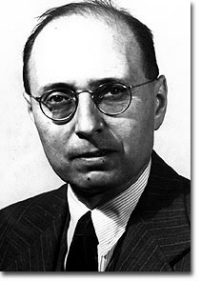 Even the small sample of people who turned to the Emergency Committee demonstrates that many who were registered as German when the 1933 exodus started were, in fact, immigrants to Germany from Hungary, including scientists Leo Szilard and Edward Teller as well as mathematicians Otto Szász and Gábor Szego . Hungarians had a particular sensitivity to the emergency situation in Germany because of a strong sense of the rise of anti-Semitism and anti-foreignism. Moreover, the persecution and threat Nazis created in Germany was strongly reminiscent of the Hungarian ordeal of 1919-20. This sensitivity made some of the Hungarians in Germany extremely active and successful leaders of the rescue operations that saved the lives and careers of several thousand scientists and scholars in Germany. The intention of this article is to show and document both the transit role of Germany and, particularly, Berlin in the history of Hungarian intellectual migrations and the role of Hungarians in the great exodus from Germany after the Nazi takeover. Links between the two countries were anything but new: during much of her modern history, Hungary in some way formed a part of, or was strongly influenced by, the greater German cultural realm; indeed it developed on the fringes of the German civilization. The tendency to frequent German cultural and study centers was a natural for the Hungarian upper and upper-middle classes throughout the 18th, 19th and the early 20th centuries. Most Hungarians who went to Germany after World War I were of Jewish origin. Many of them were forced to leave Hungary because they had been politically involved in the Hungarian revolutions of 1918-19 (in most cases the Hungarian Soviet Republic of 1919). Others became innocent victims of the anti-Semitic campaign and legislation that followed the aborted Bolshevik-type coup in 1919-20, the first of its kind in Europe. These groups typically spoke good German, were educated in the German cultural tradition, and had many earlier contacts with Germany and other German-speaking cultural and scientific centers of Central Europe. It seemed natural for them to seek what turned out to be temporary refuge in the intellectually flourishing and politically tolerant atmosphere of Weimar Germany. Though the Hungarian government realized the potential loss the country would suffer from intellectual exile, most émigrés withstood official endeavors to lure them back to Hungary and chose to stay in Germany until Hitler took over as Chancellor in January 1933. Hungarian scientists, scholars, artists, musicians, filmmakers, authors and other professionals enjoyed high recognition and prestige in pre-Nazi Germany. This “German” reputation helped them rebuild their subsequent career in England and, particularly the United States, where, after 1933, most of these “German” Hungarians were headed. The rise of anti-Semitism and the Nazi takeover reminded Jewish-Hungarians in Germany of their former experiences in Hungary and this historical déjà-vu often alerted them to act earlier than did many native Germans. Several Hungarians played an important role in rescuing the victims of Nazi Germany and soon became very active in anti-Nazi movements and instrumental in promoting Allied efforts to beat Germany and Japan in World War II. Continuing research is needed to provide further statistical evidence about the actual number of immigrants in Weimar Germany, including the number of émigré Hungarians and their social composition. It would be important to learn more about social networking, bonding, and inter-group relations among the various émigré groups and individuals, including Hungarians, as well as the relationship between immigrants and the German population. Little is known of the politics of many of the immigrants: their voting patterns, their party affiliations, their political organizations remain to be investigated. Individual immigrant groups had specific ways of thinking, communicating, and arguing. A comparison would well illuminate their cultural differences and their varied contributions to German civilization. A systematic study of the pre-Nazi German periodical literature may reveal even more of the achievement and contribution of Hungarians and other émigré intellectuals in Weimar Germany*. G. Barraclough (ed. ), The Times Atlas of World History, Maplewood NJ, Hammond, rev. ed. 1984, repr.1988, 265. N. Bentwich, The Refugees from Germany, April 1933 to December 1935, Allen and Unwin, 1936; N. Bentwich, The Rescue and Achievement of Refugee Scholars: The Story of Displaced Scholars and Scientists 1933-1952, The Hague, Martinus Nijhoff, 1953. L. Fermi, Illustrious Immigrants. The Intellectual Migration from Europe 1930-41, Chicago-London, University of Chicago Press, 1968. D. Fleming, B. Baylin (eds. ), The Intellectual Migration. Europe and America, 1930-1960, Cambridge, Mass., The Belknap Press of Harvard University Press, 1969. H. Stuart Hughes, The Sea Change. The Migration of Social Thought, 1930-1965, New York &c., McGraw-Hill, 1975. J.M. Spalek, Guide to the Archival Materials of the German-speaking Emigration to the United States after 1933, Charlottesville, University Press of Virginia, 1978, xxv, 1133 p.
 H.A. Strauss, W. Röder (eds. ), International Biographical Dictionary of Central European Emigrés 1933-1945, München-New York-London-Paris, K.G. Saur, 1983, Vols. I-II/1-2+III, xciv, 1316 p.
 P. Kröner (ed. ), Vor fünfzig Jahren. Die Emigration deutschsprachiger Wissenschaftler 1933-1939, Münster, 1983; J.C. Jackman, C.M. Borden (eds. ), The Muses Flee Hitler. Cultural Transfer and Adaptation 1930-1945, Washington D.C., Smithsonian, 1983; R.E. Rider, Alarm and Opportunity: Emigration of Mathematicians and Physicists to Britain and the United States, 1933-1945, «Historical Studies in the Physical Sciences», 15, Part I (1984), 107-176; J.-M. Palmier, Weimar en Exil. Le destin de l'émigration intellectuelle allemande antinazie en Europe et aux Etats-Unis, Paris, Payot, 1988, Tomes 1-2, 533, 486 p.
 R. Breitman, A.M. Kraut, American Refugee Policy and European Jewry, 1933-1945, Bloomington and Indianapolis, Indiana University Press, 1987. L. Fermi, op. cit., 53-59. L. Congdon, Exile and Social Thought. Hungarian Intellectuals in Germany and Austria 1919-1933, Princeton N.J., Princeton University Press, 1991. G. Marx, The Voice of the Martians, 2nd ed., Budapest, Akadémiai Kiadó, 1997. I. Hargittai, The Martians of Science: Five Physicists Who Changed the Twentieth Century, New York, Oxford University Press, 2006. T. Frank, Double Exile: Hungarian Intellectual Migrations through Germany to the United States, 1919-1933, Exile Studies, Vol. 7, New York, Peter Lang, 2007. I. Deák, Weimar Germany's Left-Wing Intellectuals. A Political History of the Weltbühne and Its Circle, Berkeley-Los Angeles, University of California Press, 1968, 13-15. Information from Budapest Opera conductor János Kerekes, August 1994. Cf. A. Doráti, Notes of Seven Decades, London etc., Hodder and Stoughton, 1979, 90-125. Cf. W.M. Johnston, The Austrian Mind. An Intellectual and Social History, 1848-1938, Berkeley, University of California Press, 1972; A. Janik, S. Toulmin, Wittgenstein's Vienna, New York, Simon & Schuster, 1973; L. Mátrai, Alapját vesztett felépítmény [Superstructure Without Base], Budapest, Magveto, 1976; C.E. Schorske, Fin-de-Siecle Vienna. Politics and Culture, New York, Knopf, 1980; K. Nyíri, A Monarchia szellemi életéröl. Filozófiatörténeti tanulmányok [The Intellectual Life of the Monarchy. Studies in the History of Philosophy], Budapest, Gondolat, 1980; J.C. Nyíri, Am Rande Europas. Studien zur österreichisch-ungarischen Philosophiegeschichte, Wien, Böhlau, 1988; Wien um 1900. Kunst und Kultur, Wien-München, Brandstätter, 1985; J. Lukacs, Budapest 1900. A Historical Portrait of a City and Its Culture, New York, Weidenfeld & Nicolson, 1988; P. Hanák, A kert és a muhely [The Garden and the Workshop], Budapest, Gondolat, 1988. I. Deák, Beyond Nationalism: A Social and Political History of the Habsburg Officer Corps, 1848-1918, New York-Oxford, Oxford University Press, 1990, 83, 89, 99-102. Cf. G. Illyés, Magyarok. Naplójegyzetek, 3rd ed., Budapest, Nyugat, n.d. , II: 239. I. Sotér, Eötvös József [József Eötvös], 2nd rev. ed., Budapest, Akadémiai Kiadó, 1967, 314. Baron József Eötvös to Mór Kleinmann, Buda, July 20, 1869, #12039, Theodore von Kármán Papers, California Institute of Technology Archives, File 142.10, Pasadena, CA; Untitled memoirs of Theodore von Kármán of his File 141.6, pp. 1-2. Cf. I. Sotér, Eötvös József, 2. ed., Budapest, Akadémiai Kiadó, 1967; M. Mann, Trefort Ágoston élete és müködése, Budapest, Akadémiai Kiadó, 1982. Cecilia Polányi to the Minister of Religion and Public Education, Budapest, December 11, 1918 and enclosures. (Hungarian and German) Michael Polanyi Papers, Box 20, Folder 1, Department of Special Collections, University of Chicago Library, Chicago, Ill. The World Almanac and Book of Facts 1994, Mahwah N.J., Funk & Wagnalls, 1993, 300-302. K. Lyka, Magyar muvészélet Münchenben, 2nd ed., Budapest, Corvina, 1982; L. Balogh, Die ungarische Facette der Münchner Schule, Mainburg, Pinsker-Verlag, 1988. T. Frank, Liszt, Brahms, Mahler: Music in Late 19th Century Budapest, in: G. Ránki, A. Pók (eds. ), Hungary and European Civilization, Indiana University Studies on Hungary, Vol. 3, Budapest, Akadémiai Kiadó, 1989, 346. A. Molnár, Eretnek gondolatok a muzsikáról [Heretic Thoughts on Music], Budapest, Gondolat, 1976, 27-28; quoted by T. Frank, Liszt, Brahms, Mahler, 351. Cf. K. Goldmark, Emlékek életembol [Memories of My Life], Budapest, Zenemukiadó, 1980, 74-83. T. Gedeon, M. Máthé, Gustav Mahler, Budapest, Zenemukiadó, 1965, 103-105; G. Mahler, Briefe, 1879-1911, Berlin-Wien-Leipzig, Zsolnay, 1924, 115-116. J. Kiss, Petofi in der deutschsprachigen Presse Ungarns vor der Märzrevolution, in Studien zur Geschichte der deutsch-ungarischen literarischen Beziehungen, Berlin, 1969, 275-297. L. Tarnói, Ofen und Pest als Zentren des deutschsprachigen kulturellen und literarischen Lebens im Königreich Ungarn um 1800. Habilitationsschrift (Budapest, 1994); U.R. Monsberger, A hazai német naptárirodalom története 18 21-ig, Budapest, 1931. G. Szalai, A hazai zsidóság magyarosodása 1849-ig, [The Magyarization of the Hungarian Jewry to 1849], «Világosság» 15 (1974), 216-223; R. Osztern, Zsidó újságírók és szépírók a magyarországi német nyelvü idoszaki sajtóban, a 'Pester Lloyd' megalapításáig, 1854-ig, Budapest, 1930. B. Vázsonyi, Dohnányi Erno, Budapest, Zenemukiadó, 1971, 67-68. B. Vázsonyi, Dohnányi Erno, op. cit., 83, and personal information of the present author from Marianne Flesch (1890-1966). G. Szego, Leopold Fejér: In Memoriam, 1880-1959, «Bulletin of the American Mathematical Society», 66/5 (September 1960), 346-347. [G. Szego,] Lebenslauf. Gábor Szego Papers, SC 323, Boxes 85-036. Department of Special Collections and University Archives, Stanford University Libraries, Stanford, CA. H. Bauer, Az öntudatról [=Béla Balázs, Halálesztétika], Budapest, Deutsch Zsigmond, n.d.
 B. Balázs, Doktor Szélpál Margit [Dr. Margaret Szélpál], Budapest, Nyugat, 1909, 10. Cf. T. Frank, Béla Balázs: From the Aesthetization of Community to the Communization of the Aesthetic, «Journal of the Interdisciplinary Crossroads», 3/1 (2006), 117-134. L. Hatvany, Die Wissenschaft des nicht Wissenswerten, Leipzig, Julius Zeitler, 1908; 2. Auflage, München, Georg Müller, 1914; in Hungarian: A tudni-nem-érdemes dolgok tudománya, transl. by Klára Szollosy, Budapest, Gondolat Kiadó, 1968. L. Hatvany, Ich und die Bücher (Selbstvorwürfe des Kritikers), Berlin, Paul Cassirer, 1910; L. Hatvany, Én és a könyvek, Budapest, Nyugat, 1910. Alfred Manovill 50 Jahre. (German) Manuscript of a newspaper article in the Michael Polanyi Papers, Box 20, Folder 2. The Education of Henry Adams. An Autobiography, Boston-New York, Houghton Mifflin, 1918, 80. Cf. K.A. Mayer, Some German Chapters of Henry Adams’s Education: ‘Berlin (1858-1859),’ Heine, and Goethe, «AAA - Arbeiten aus Anglistik und Amerikanistik», 19/1 (1994), 3-25; K.A. Mayer, Henry Adams: ‘And I’ve Retouched My Austria’, Francke Verlag, 1996. The Education of Henry Adams. An Autobiography, Boston-New York, Houghton Mifflin, 1918, 77-78. E.A. Ross, German diary, January 26, 1889, Ross Papers, State Historical Society of Wisconsin, Madison. Quoted by R. Jackson Wilson, In Quest of Community: Social Philosophy in the United States, 1860-1920, London-Oxford-New York, Oxford University Press, 1970, 95. J. Langbehn, Rembrandt als Erzieher, 33. ed., Leipzig, Hirschfeld, 1891, 133. Quoted by F. Stern, The Politics of Cultural Dispair. A Study in the Rise of the Germanic Ideology, Berkeley-Los Angeles, University of California Press, 1974, 131. J. Langbehn, Rembrandt als Erzieher, 12. ed., Leipzig, Hirschfeld, 1890, 292-293. J. Strong, Our Country. Its Possible Future and Its Present Crisis. Ed. by J. Herbst, Cambridge, Mass., Belknap Press of Harvard University Press, 1963, 171-186. I. Deák, Weimar Germany, op. cit., 14. B. Vázsonyi, Dohnányi Erno, op. cit., 69; W. Manchester, The Last Lion, 57. A. Lange, Berlin in der Weimarer Republik, Berlin, Dietz, 1987, 596. E. Du Bois-Reymond, Kulturgeschichte und Naturwissenschaft, in Reden, I:280, see also 281, 283. Quoted by O. Basler, Amerikanismus. Geschichte des Schlagwortes, «Deutsche Rundschau», CCXXIV (July-August-September 1930), 144. Epistola Testem benevolentiae ad archiep. Baltimore. 22 Ian. 1899. In H. Denzinger (ed. ), Enchiridion symbolorum definitiorum et declarationum de rebus fidei et morum, XXXIIIrd ed., Freiburg im Breisgau, Herder, 1965, 656-658; J.T. Ellis (ed. ), Documents of American Catholic History, Milwaukee, Bruce, 1956, 553-562; S.M. Claudia (ed. ), Dictionary of Papal Pronoucements. Leo XIII to Pius XII [1878-1957], New York, P.J. Kennedy & Sons, 1958, 157; J. Höfer, K. Rahner (Hrsg. ), Lexikon für Theologie und Kirche, Freiburg, Verlag Herder, 1957, 434-435; cp. A. Houtin, L’Américanisme, Paris, Émile Nourry, 1904; T.T. McAvoy, Americanism: Fact and Fiction, «American Catholic Historical Review», 31 (1945), 133-153; F. Klein, Une hérésie fantôme, l’Américanisme, in Souvenirs, IV, Paris, 1949. P. Dehn, Die Amerikanisierung der Erde, in «Weltwirtschaftlichen Neubildungen» (1904), 238. Quoted by O. Basler, op. cit., 144. Th. Lüddecke, Amerikanismus als Schlagwort und als Tatsache, «Deutsche Rundschau», CCXXII (Januar-Februar-März 1930), 214-221; O. Basler, op. cit., 142-146. An Ambassador of Peace. Lord D’Abernon’s Diary, London, Hodder and Stoughton, 1929, I:18. Lord D'Abernon, op. cit., I:18. Lord D'Abernon, op. cit., II:102. Lord D'Abernon, op. cit., III (1930): 245. L. Kerekes, A weimari köztársaság [The Weimar Republic], Budapest, Kossuth, 1985, 206. Gesellschaft der Musikfreunde zu Berlin e. V., Programme Saison 1930-31, Michael Polanyi Papers, Box 45, Folder 2; Lessing-Hochschule, Vorlesungen Frühjahr 1931, Michael Polanyi Papers, Box 45, Folder 8. L. Ormos, Thomas Mann cseveg [Thomas Mann Chatting], «Pester Lloyd», December 18, 1929, published by A. Mádl, J. Gyori (eds. ), Thomas Mann és Magyarország [Thomas Mann and Hungary], Budapest, Gondolat, 1980, 128. There is a substantial and growing literature on Weimar Germany and its culture which I do not intend to present here. Some of the most important titles are The Weimar Republic: A Historical Bibliography (Santa Barbara CA, ABC-CLIO Information Services, 1984); P. Gay, Weimar Culture: The Outsider as Insider, New York, Harper and Row, 1968, 1970; Harmondsworth, Middlesex, Penguin, 1974; G. Schulz (Hrsg. ), Ploetz Weimarer Republik. Eine Nation im Umbruch, Freiburg-Würzburg, Ploetz, 1987; W. Mönch, Weimar. Gesellschaft-Politik-Kultur in der Ersten Deutschen Republik, Frankfurt a.M.-Bern-New York-Paris, Peter Lang, 1988; J.W. Hiden, The Weimar Republic, London, Longman, 1974; F. Grube, G. Richter (Hrsg. ), Die Weimarer Republik, Hamburg, Hoffmann und Campe, 1983; J. Willett, The Weimar Years. A Culture Cut Short, London, Thames and Hudson, n.d.; M. Stark (Hrsg. ), Deutsche Intellektuelle 1910-1933. Aufrufe, Pamphlete, Betrachtungen, Heidelberg, Lambert Schneider, 1984; H. Pachter, Weimar Etudes, New York, Columbia University Press, 1982; S. Waetzoldt, V. Haas (Hrsg. ), Tendenzen der zwanziger Jahre, Berlin, Dietrich Reiner Verlag, 1977. I. Deák, Weimar Germany, op. cit., 13-15. B. Walter, Theme and Variations; An Autobiography (1946). Quoted by P. Gay, Weimar Culture. The Outsider as Insider, New York, Harper & Row,1970, 130. G. Plaskin, Horowitz. A Biography of Vladimir Horowitz, New York, William Morrow and Co., 1983, 70. C. Zuckmeyer, quoted by G. Plaskin, Horowitz, op. cit., 69. Michael Polanyi to the Wohnungsamt in Berlin, Berlin, June 18, 1923. (German) Michael Polanyi Papers, Box 1, Folder 20. Lipót Fejér to Gábor Szego, Budapest April 27, 1922. (Hungarian and partly German) Gábor Szego Papers, SC 323, Boxes 85-036. Alfred Reis to Michael Polanyi, Karlsruhe, October 14, 1920. (German) Michael Polanyi Papers, Box 1, Folder 11. S. Zweig, The World of Yesterday. An Autobiography, 1st ed. Viking Press, 1943; repr. Lincoln, University of Nebraska Press, 1964, 313-314; cf. the German original: Die Welt von Gestern. Erinnerungen eines Europäers, 1st ed. 1944; Frankfurt am Main, Fischer, 1994, 361-363. Theodore von Kármán to Michael Polanyi, Aachen, March 17, 1920. (German) Michael Polanyi Papers, Box 17. Leopold Fejér to E. Landau, Budapest, May 23, 1914. (German) Gábor Szego Papers, SC 323, Boxes 85-036. G. Bredig to M. Polanyi, Karlsruhe, February 12, 1917. (German) Michael Polanyi Papers, Box 1, Folder 5. K. Fajans to M. Polanyi, München, June 26 and October 5, 1918. (German) Michael Polanyi Papers, Box 1, Folder 5. Cf. e.g. the case of the son of his brother's friend Michael Becz, see Elemér Kármán to Theodore von Kármán, Budapest, May 9, 1920 (German), Theodore von Kármán Papers, File 139.1. Eric R. Jette to M. Polanyi, Up[p]sala, February 10, 1923, Michael Polanyi Papers, Box 1, Folder 19. Eric R. Jette to M. Polanyi, Copenhagen, March 28, 1924, Michael Polanyi Papers, Box 2, Folder 1. M. Polanyi to B. Lorenz, October 16, 1922. (German) Michael Polanyi Papers, Box 1, Folder 18. Elemér Székely to Th. von Kármán, Wien, April 29, 1924. (Hungarian) Theodore von Kármán Papers, File 29.14. Mihály Freund to M. Polanyi, May 4, 1920. (Hungarian) Michael Polanyi Papers, Box 17. Gabor Szego Papers, SC 323, Boxes 85-036. Obersekretär Breuder [? ], Technische Hochschule zu Berlin, to Michael Polanyi, Charlottenburg, November 8, 1923. (German) Michael Polanyi Papers, Box 1, Folder 20. Polányi Mihály Nádas Sándorhoz, «Pesti Futár», 1929, 37-38; repr. in «Polanyiana», I/1 (1991), 26. J. Ujfalussy, Béla Bartók, Budapest, Corvina, 1971, 237-240; G. Kroó, A Guide to Bartók, Budapest, Corvina, 1974, 97-105. The ballet was not tolerated even in Cologne, where the conservative mayor of the city, Konrad Adenauer stopped the production. Michael Balint interview; Columbia University Oral History Project, Columbia University Libraries, New York, N.Y. Balint authored important books on psychoanalytic and psychotherapeutic techniques such as Primary Love and Psycho-Analytic Technique (1952), The Doctor, His Patient and the Illness (1957), Psychotherapeutic Techniques in Medicine (1961), and The Basic Fault. Therapeutic Aspects of Regression (1969). M. Polanyi to Dr. John Eggert, [Berlin,] May 16, 1922, Michael Polanyi Papers, Box 1, Folder 18. Michael Balint interview, Columbia Oral History Project, loc. cit. Imre Brody to Michael Polanyi, August 26, 1920. (Hungarian) Michael Polanyi Papers, Box 1, Folder 10. Ibidem; Max Born to M. Polanyi, September 26, 1921 (German); Imre Brody to M. Polanyi, Göttingen, March 24, 1922 (Hungarian) Michael Polanyi Papers, Box 1, Folder 15. Information obtained from Budapest Opera conductor János Kerekes, August 1994. D. Keresztury, Berlin tetoi alatt (Részletek visszaemlékezéseimbol) [Under the Roofs of Berlin--From My Memoirs], «Magyar Nemzet», March 27, 1993. É. Gábor, Mannheim in Hungary and in Weimar Germany, «The Newsletter of the International Society for the Sociology of Knowledge», 9/1-2 (August 1983), 7-14; L. Congdon, Karl Mannheim as Philosopher, «Journal of European Studies», 7, Part I, 25 (March 1977), 1-18. M. Polanyi to G. Bredig, Berlin June 23, 1923 (German) Michael Polanyi Papers, Box 1, Folder 20.; B. Longhurst, Karl Mannheim and the Contemporary Sociology of Knowledge, New York, St. Martin's Press, 1989, 5; G. Szego, Otto Szász, «Bulletin of the American Mathematical Society», 60/3 (May 1954), 261. J. Zsuffa, Béla Balázs: The Man and the Artist, Berkeley, University of California Press, 1987; T. Frank, Béla Balázs, op. cit. E. Katz, The Film Encyclopedia, New York, Thomas Y. Crowell, 1979, 293-4, 741-2. Ibid., 476-7, 665, 1181, 1187, 1194 ; 293-4, 741-2. L. Kardos, Ding und Schatten. Eine experimentelle Untersuchung über die Grundlagen des Farbensehens, Leipzig, 1934. Aurél Bernáth gave a vivid and poetic description of these Berlin years in his autobiography, Kor és pálya [Times and Life], Vol. II, Utak Pannóniából [Journeys from Pannonia], Budapest, Szépirodalmi Könyvkiadó, 1960, 351-383. Cf. N. Aradi, Berlin-Budapest, in: K. Kändler, H. Karolewski, I. Siebert (Hrsg. ), Berlin Bewegnungen: Ausländerische Künstler in Berlin 1918 bis 1933, Berlin, Dietz Verlag, 1987, 219-234. See also the excellent bibliography in S.A. Mansbach, Revolutionary Engagements: The Hungarian Avant-Garde, in: S.A. Mansbach (ed. ), Standing in the Tempest. Painters of the Hungarian Avant-Garde 1908-1930, Santa Barbara CA, Santa Barbara Museum of Art – Cambridge MA-London, The MIT Press, 1991, 213-227. G. Brühl, Herwarth Walden und "Der Sturm", Köln, DuMont Buchverlag, 1983. K. Passuth, Hungarian Art Outside Hungary: Berlin in the 1920s, in T. Frank (ed. ), Culture and Society in Early 20th-Century Hungary, «Hungarian Studies», 9/ 1-2 (1994), 127-138; H. Gaßner (Hrsg. ), WechselWirkungen. Ungarische Avantgarde in der Weimarer Republik, Marburg, Jonas Verlag, 1986. Egyesült izzólámpa és villamossági részvény-társaság. Ignác Pfeifer to M. Polanyi, Ujpest (outside Budapest), February 6, 1923 (Hungarian), Michael Polanyi Papers, Box 1, Folder 19. I. Pfeifer to M. Polanyi, Ujpest (outside Budapest), April 9, 1923 (Hungarian); M. Polanyi to I. Pfeifer, [Berlin,] April 14, 1923 (German); I. Pfeifer to M. Polanyi, Ujpest (outside Budapest), May 15, 1923 (German); M. Polanyi to I. Pfeifer, [Berlin,] May 28 and June 22, 1923 (German); Michael Polanyi Papers, Box 1, Folder 19. Mrs. Gábor Szego to Mrs. Michael Polanyi, K[önigs]berg, May 15, 1929 (Hungarian), Michael Polanyi Papers. Count K. Klebelsberg, Szabad-e Dévénynél betörnöm új idoknek új dalaival? [May I break in at Dévény with the new songs of new times?] «Pesti Napló», May 5, 1929. It is characteristic how Kuno Klebelsberg differentiated between ethnic vs. Non-ethnic Hungarians in 1902, respectively between representatives of national subjects vs. natural sciences 1929. K. Klebelsberg, “Exposé,” Budapest, July 29, 1902; Prime Minister Kálmán Széll to Foreign Minister Count Agenor Goluchowsky, Budapest, March 6, 1903, published by A. Tezla (ed. ),“Valahol túl, meseországban...” Az amerikás magyarok, 1895-1920, Budapest, Európa Könyvkiadó, 1987, II: 283-289. Cf. A. Tezla (ed. ), The Hazardous Quest. Hungarian Immigrants in the United States 1895-1920. A Documentary, Budapest, Corvina, 1993, 486-492. - For a recent survey of the “American project” of the Hungarian Government see the unpubished Ph.D. thesis of I. Kovács, Az amerikai közkönyvtárak magyar gyujteményeinek szerepe az asszimiláció és identitás megorzése kettos folyamatában (A bevándorlók amerikanizációjának könyvtári ága, a kivándorlókat támogató ‘Amerikai akció’ könyvtári programja, 1890-1940, Kandidátusi értekezés (MS, Budapest, 1993), 40-60. Szent-Györgyi mistakenly remembers 1932 as the date of his return upon which he accepted the chair of Medical Chemistry at the University of Szeged, Hungary. Cf. Albert Szent-Györgyi, Prefatory Chapter – Lost in the Twentieth Century, «Annual Review of Biochemistry», 32 (1963), Repr., 8. Béla Bartók discussed this plan with the conductor who wanted membership in the Hungarian Upper House, an effort that Bartók discouraged. Cf. Béla Bartók to Fritz Reiner, Budapest, October 29, 1928, published by J. Demény (ed. ), Bartók Béla levelei [Letters of Béla Bartók], Budapest, Muvelt Nép Könyvkiadó, 1951, 109; K. K[ristóf], Reiner Frigyes, in Magyar Zsidó Lexikon, Budapest, Magyar Zsidó Lexikon, 1929, 788. Lipót Fejér to G. Szego, Budapest March 6, 1924 (Hungarian), Gábor Szego Papers. L. Fejér to G. Szego, Budapest November 26, 1924 (Hungarian), Gábor Szego Papers. G. Szego, Lebenslauf [1925?] and Personnel Security Questionnaire [1950? ], Gábor Szego Papers, SC 323, Boxes 85-036. Robert A. Millikan to Th. von Kármán, Pasadena, CA, January 24, 1927 and London, August 26, 1927; Theodore von Kármán Papers, File 20.27. Harry F. Guggenheim to Robert A. Millikan, New York, September 7, 1929, Robert Andrews Millikan Collection, File 16.8, California Institute of Technology Archives, Pasadena, CA. Th. von Kármán to Robert A. Millikan, Aachen, September 10 and (Telegram) October 20, 1929, Robert Andrews Millikan Papers, File 16.8. R.A. Millikan to Th. von Kármán, Telegram, October 18, 1929; Harry F. Guggenheim, Commander Hunsaker, and R.A. Millikan to Paul S. Epstein, Telegram, New York, n. d., Theodore von Kármán Papers, File 20.27; R.A. Millikan to Captain A. T. Church, [Pasadena,] March 4, 1930; Robert Andrews Millikan Papers, File 16.9. H.F. Guggenheim to R.A. Millikan, New York, October 22, 1929, Robert Andrews Millikan Papers, File 16.8. Th. von Kármán to Ludwig Prandtl, Pasadena, August 2, 1933, Theodore von Kármán Papers, File 23.44. Werner Osenberg to Th. von Kármán, Chesnay, June 12, 1945; Theodore von Kármán Papers, File 22.18. R. Smend to James Franck, Göttingen, December 23, 1947, James Franck to Th. von Kármán, Chicago, February 11, 1948, Theodore von Kármán Papers, File 9.36. John von Neumann to W. Blaschke, Princeton, January 28, 1935, (German) John von Neumann Papers, 1933-37, Box 4, Library of Congress, Washington D.C. Cf. J. von Neumann, Mathematische Grundlagen der Quantenmechanik, Berlin, Julius Springer, 1932. M. Polanyi to Arthur Lapworth, Berlin, March 15, 1932 (German), Michael Polanyi Papers, Box 2, Folder 8. A.J. [?] Allmand to M. Polanyi, West Hampstead, May 17, 1932, Michael Polanyi Papers, Box 2, Folder 8. F.G. Donnan to M. Polanyi, London, May 19, 1932; Arthur Lapworth to M. Polanyi, Manchester, June 3 and November 27, 1932; Walter H. Moberly to M. Polanyi, Manchester, December 15, 1932; Michael Polanyi Papers, Box 2, Folders 8 and 10. – By comparison, the average professor received £1200 p.a. at the University of Cambridge, according to Nobel Laureate Paul A. M. Dirac (Physics 1933). P.A.M. Dirac to John von Neumann, Cambridge, January 12, 1934, John von Neumann Papers, Box 7, 1933: Some very interesting letters to J. v. N.
 E.D. Simon to M. Polanyi, Manchster, December 22, 1932, Michael Polanyi Papers, Box 2, Folder 10. M. Polanyi to A. Lapworth, Berlin, January 13, 1933; M. Polanyi to F.G. Donnan, Berlin, January 17, 1933, Michael Polanyi Papers, Box 2, Folder 11. M. Polanyi to F.G. Donnan, [Berlin, n.d.] draft, Michael Polanyi Papers, Box 2, Folder 11. F.G. Donnan to M. Polanyi, London, April 7, 1933, Michael Polanyi Papers, Box 2, Folder 11. Thomas S. Baker to M. Polanyi, May 10 and June 1, 1933, Michael Polanyi Papers, Box 2, Folder 12. Cp. W. Foster, Princeton’s New Chemical Laboratory, «Journal of Chemical Education», 6/12 (December, 1929), 2094-95. Clippings, Michael Polanyi Papers, Box 45, Folder 3; Box 46, Folder 4. M. Polanyi, Personal Knowledge. Towards a Post-Critical Philosophy, Chicago, The University of Chicago Press, 1958, 238. Karl Polanyi - Cecil Polányi, September 27, 1932, [German] Michael Polanyi Papers, Box 18, Folder 2. Personal memories of Mrs. Éva Kerekes, Budapest, Hungary, August 1994. The author's interview with conductor-composer János Kerekes, 1988. P. Hochmuth, Sturm- und Kampflieder-Buch, Berlin-Schöneberg, Verlag Deutsche Kultur-Macht, 1933, No. 29. Michael Polanyi Papers, Box 46, Folder 11, Department of Special Collection, University of Chicago Library, Chicago, Ill.
Aryan blood should not disappear. Brothers ho, to the last battle for the fatherland. Away with Jews and traitors. Liberty or Death. We swear allegiance to Adolf Hitler. Allegiance until Death. Deutschlands Kampf für die abendländische Kultur, Berlin, n.d. [1933? ], 5. "Márti" to M. Polanyi, Stary Smokovec, Czechoslovakia, July 30, 1932, (Hungarian) Michael Polanyi Papers, Box 2, Folder 8. M. Polanyi, The Socialist Error [The Road to Serfdom. By F.A. Hayek], «The Spectator», March 31, 1944. L. Fermi, The Dictators and the Intelligentsia, in Illustrious Immigrants, op. cit. Eugene Wigner to M. Polanyi, [Budapest,] June 30, 1933, Michael Polanyi Papers, Box 2, Folder 12. M. Polanyi, Personal Knowledge. Towards a Post-Critical Philosophy, Chicago, The University of Chicago Press, 1958. Karl Polanyi to Michael Polanyi, Küb/Semmering, n.d., (Hungarian) Michael Polanyi Papers. Karl Polanyi to Cecilia Polanyi, [Vienna,] April 24, 1920, (German) Michael Polanyi Papers, Box 17, Folder 2. Karl Polanyi to Michael Polanyi, Vienna, October 7, 1925 (Hungarian) Michael Polanyi Papers, Box 17. Unknown to M. Polanyi, Vienna, March 11, 1920 (Hungarian) Michael Polanyi Papers, Box 1, Folder 7. The author's interview with Marcel Stein, New York, Columbia University, November 29, 1989. Dr. Kálmán Istók file, International Rescue Committee, Box 7, Archives of the Hoover Institution on War, Revolution and Peace, Stanford, CA. Jenö Fejér to Th. von Kármán, Bratislava, April 25, 1930, Ilus Fejér, Bratislava, May 20, 1936, Ilus Fejér, June 17, 1938 (Hungarian), Theodore von Kármán Papers, File 9.3. G. Pólya, Bürgerrechts-Urkunde, March 7, 1918; Appointment to the Eidgenössische Technische Hochschule, February 24, 1928, George Pólya Papers, SC 337, Box 87-034:3, Department of Special Collections and University Archives, Stanford University Libraries, Stanford, CA. Georg de Hevesy to M. Polanyi, [Budapest,] January 27, 1920 (Hungarian), Michael Polanyi Papers, Box 1, Folder 6. «... ich hier im schönen Kopenhagen auf einer Weise lebe, wie einst, in den guten alten Zeiten, wo es eine k.u.k. Armee gab und andere schöne Einrichtungen, pensionierte Generäle und dgl. in Graz oder Klagenfurt lebten». G. de Hevesy to M. Polanyi, København, June 27, 1920 (German), Michael Polanyi Papers, Box 1, Folder 9. J. Csillag Gál, Bevezeto tanulmány [Introduction], in: G. Révész, Tanulmányok [Studies], Budapest, Gondolat, 1985, 9-11. I am grateful to Ms Judith Révész for the biographical details on her father, provided in an interview in Budapest, January 26, 1996. L. Gårding, Marcel Riesz in Memoriam, «Acta Mathematica» 124 (1970), I-XI; J. Horváth, Riesz Marcel matematikai munkássága I [The Mathematical Work of Marcel Riesz], «Matematikai Lapok», 26/1-2 (1975), 11-37. J. Szekfu, Der Staat Ungarn, eine Geschichtsstudie, Stuttgart-Berlin, Deutsche Verlags-Anstalt, 1917; E. Mályusz, Sturm auf Ungarn. Volkskommissäre und Genossen im Auslande, München, Südost-Verlag Adolf Dresler, 1931. H. von Szirmay-Pulszky, Genie und Irrsinn im ungarischen Geistesleben, München, Ernst Reinhardt, 1935. Elemér Kármán to Th. von Kármán, Budapest, June 14 and August 1, 1923, (Hungarian) Theodore von Kármán Papers, File 139.1. For a well-written general survey of international efforts to rescue immigrant scientists and scholars from Germany see L. Fermi, Illustrious Immigrants, op. cit., Chapter IV: The Roads to America, 60-92. Cf. H.A. Strauss, W. Röder (eds. ), International Biographical Dictionary of Central European Emigrés 1933-1945, op. cit. Lord Beveridge, op. cit., 2; Leo Szilard to Jacques Errera, London, June 4, 1933 (German), Leo Szilard Papers, Box 7, Folder 22; Benjamin Liebowitz to Ernst P. Boas, London, May 4, 1933, Leo Szilard Papers, Box 12, Folder 4, Mandeville Department of Special Collections, University of California, San Diego Library, La Jolla CA. – The Council remained in existence until 1966, as the Society for the Protection of Science and Learning. Cf. L. Szilard to unknown, May 14, 1933, Leo Szilard Papers, Box 12, Folder 21, Mandeville Department of Special Collections, University of California, San Diego Library, La Jolla CA; R.E. Rider, Alarm and Opportunity, op. cit., 116. Lord Beveridge, op. cit., 126-27; Karl Brandt Circular, New York, February 1, 1934 (German), John von Neumann Papers, Box 7, 1933: Some very interesting letters to J. v. N., Library of Congress, Washington D.C. – For details on the two institutions see R. Rider, Alarm and Opportunity, op. cit., esp. 116, 139. R. Rider, Alarm and Opportunity, op. cit., 144. Cf. Lord Beveridge, op. cit., 15, 126. L. Fermi, Illustrious Immigrants, op. cit., 62-63. Albert Einstein to Leo Szilard, Le Coq-sur-Mer, April 25 and May 1, 1933; L. Szilard to A. Einstein, London, May 4 and 9, 1933 (German), Leo Szilard Papers, Box 7, Folder 27, Mandeville Department of Special Collections, University of California, San Diego Library, La Jolla CA. L. Szilard to Sir William Beveridge, Brussels, May 14, 1933, Leo Szilard Papers, Box 11, Folder 18, Mandeville Department of Special Collections, University of California, San Diego Library, La Jolla CA. L. Szilard to Sir W. Beveridge, London, May 4, 1933, Leo Szilard Papers, Box 4, Folder 30, Mandeville Department of Special Collections, University of California, San Diego Library, La Jolla CA. Lord Beveridge, A Defence of Free Learning, London-New York-Toronto, Oxford University Press, 1959, 128-29. L. Fermi, Illustrious Immigrants, op. cit., 62. Cf. T. Frank, Ever Ready to Go: The Multiple Exiles of Leo Szilard, «Physics in Perspective», 7 (2005), 204-52. Paul Ehrenfest to Frederick George Donnan, Leiden, August 22, 1933, Leo Szilard Papers, Box 7, Folder 22, Mandeville Department of Special Collections, University of California, San Diego Library, La Jolla CA. Karl Mannheim to Max Horkheimer, London, March 30, 1937, Leo Szilard Papers, Box 12, Folder 14; cp. L. Szilard to unknown, Brussels, May 14, 1933, Leo Szilard Papers, Box 12, Folder 21; L. Szilard to Neville Laski, May 1933, Leo Szilard Papers, Box 11, Folder 18. Eugene Wigner to M. Polanyi, [Budapest, n.d. (July 1933?)] Michael Polanyi Papers, Box. 2, Folder 12. N. Bentwich, The Rescue and Achievement of Refugee Scholars: The Story of Displaced Scholars and Scientists 1933-1952, The Hague, Martinus Nijhoff, 1953, 11; L. Fermi, Illustrious Immigrants, op. cit., 63-64; E. Shils, Leo Szilard: A Memoir, «Encounter», December, 1964. Memorandum of Professor Lauder W. Jones, 28 June – 27 July, 1933, Rockefeller Foundation Archives, RG 1.1, Series 200D, Box 153, Folder 1881. Partially quoted by D.H. Stapleton, The Rockefeller Foundation: Refugee Scientists and Atomic Technology, in: G. Marx (ed. ), The Martians: Hungarian Émigré Scientists and the Technologies of Piece and War 1919-1989, Budapest, Eötvös University, 1997, 54-55. L. Szilard to Max Delbrück, London, May 7, 1933, Leo Szilard Papers, Box 7, Folder 9. Jacques Errera to L. Szilard, Bruxelles, June 5, 1933 (French), Leo Szilard Papers, Box 7, Folder 2; Leo Szilard to unknown, Brussels, May 14, 1933, Leo Szilard Papers, Box 12, Folder 21. [L. Szilard,] Report, May 23, 1933, Leo Szilard Papers, Box 4, Folder 30. L. Szilard to Dr. Delbrück, London, May 7, 1933, Leo Szilard Papers, Box 7, Folder 9. L. Szilard to Eugene Wigner, London, August 17, 1933, Michael Polanyi Papers, Box 2, Folder 12; L. Fermi, Illustrious Immigrants, op. cit., 64. L. Szilard quoted by E. Wigner to M. Polanyi, [Budapest, n.d. (July 1933?)] Michael Polanyi Papers, Box. 2, Folder 12, Department of Special Collection, University of Chicago Library, Chicago. E. Wigner to M. Polanyi [Budapest, n.d. (July 1933? )], Michael Polanyi Papers, Box 2, Folder 12, Department of Special Collection, University of Chicago Library, Chicago. Th. von Kármán to Robert Oppenheimer, [Pasadena,] March 12, 1934, Theodore von Kármán Papers, File 22.10, California Institute of Technology Archives, Pasadena CA. Karl Polanyi to Michael Polanyi, London, October 31, 1934 (Hungarian), Michael Polanyi Papers, Box 17, Folder 5. L. Szilard to Maxwell Garnett, London, May 9, 1934, Leo Szilard Papers, Box 8, Folder 23, Julian Huxley to L. Szilard, London, May 3, 1934, Leo Szilard Papers, Box 9, Folder 12. [Sir Lawrence] Bragg to M. Polanyi, Manchester, July 10, 1933, Michael Polanyi Papers, Box 2, Folder 12. L. Szilard to C. S. Gibson, London, June 13, 1933, Leo Szilard Papers, Box 8. Folder 23. Benjamin Liebowitz to Ernst P. Boas, London, May 4, 1933, Leo Szilard Papers, Box 12, Folder 4, Mandeville Department of Special Collections, University of California, San Diego Library, La Jolla CA. Abraham Flexner to John von Neumann, New York, March 30, 1933, John von Neumann Papers, Box 7, 1933: Some very interesting letters to J. v. N.
 A. Flexner to J. von Neumann, New York, May 6, 1933, John von Neumann Papers, Box 7, 1933: Some very interesting letters to J. v. N.
 Benjamin Liebowitz to E.P. Boas, London, May 4, 1933, Leo Szilard Papers, Box 12, Folder 4. L. Szilard to C.S. Gibson, London, June 13, 1933, Leo Szilard Papers, Box 8. Folder 23. Oswald Veblen to J. von Neumann, New York, May 22, 1933, John von Neumann Papers, Box 7, 1933: Some very interesting letters to J. v. N.
 K. Brandt to J. von Neumann, New York, March 19, 1934, John von Neumann Papers, Box 7, 1933: Some very interesting letters to J. v. N.
 E. Katz, The Film Encyclopedia, op. cit., 103, 734, 783, 890, 898, 1011, 1036. V. Varconi, E. Honeck, It’s Not Enough To Be Hungarian, Denver, Graphic Impressions, 1976, 91, 106. Emergency Committee in Aid of Displaced Foreign Scholars, New York Public Library, Manuscripts and Archives Division, New York - For a brief history of the Committee see L. Fermi, Illustrious Immigrants, op. cit., 76-78. Ibid., 195 boxes of correspondence and papers. This list is based on the documents of the Emergency Committee in Aid of Displaced Foreign Scholars kept in the Manuscripts and Archives Division of the New York Public Library, New York. R.E. Rider compiled a list of mathematicians and physicists who emigrated to the US or to Britain which appears in the appendix of her excellent paper (op. cit., 172-176). Compared to my list, she added a few more émigré Hungarian names such as physicists Gusztáv Kürti, Cornelius Lánczos, and Elisabeth (Erzsébet) Róna, as well as mathematicians Paul Erdos, Tibor Radó, and Stefan (István) Vajda. Yet, Ms. Rider made no distinction between Germans and Hungarians among the immigrant scientists and gave no attention to Leo Szilard's activities or to other Hungarian contributions to the establishment of the Academic Assistance Council or that of the Emergency Committee. — The names listed here are based on my own research. I am grateful to Dr. Gábor Palló for additional information based on his research in the same collection. * An earlier version of this article entitled Station Berlin: Ungarische Wissenschaftler und Künstler in Deutschland, 1919-1933 was published in German by «IMIS Beiträge», 10 (1999), 7-38.